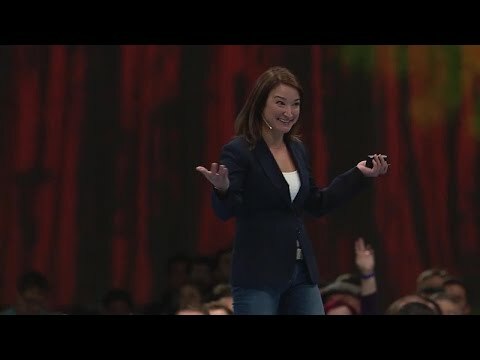 Dreamforce ’18 was a blast! Get up to speed on key developer highlights and on-demand videos for keynotes and sessions. 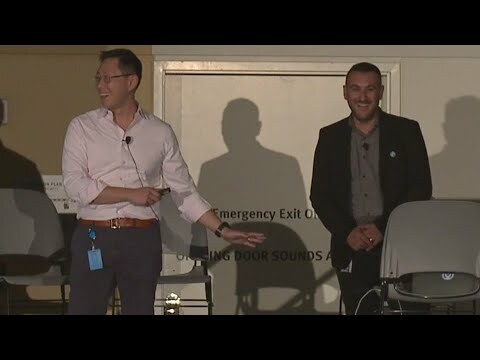 Developers at Dreamforce '18 learned the newest ways to extend the Salesforce Platform and build apps of the future. Watch our keynote to see how you can build apps faster, integrate apps easier, and make apps smarter. Build apps faster with the Lightning platform. Build and continuously improve amazing apps fast using no-code builders, pro code tools and powerful enterprise services. Integrate apps easier with clicks and code. Easily build advanced, enterprise-class integrations with MuleSoft with custom APIs and out of the box connectors. Make apps smarter with Einstein. Build smarter apps with Einstein that pull insights from data, and understand language and vision. People now expect apps of the future; continuously improving, integrated, and smarter. As developers, you are more empowered than ever to build these apps. Join this developer keynote and be the first to see how the Salesforce Platform can help you build apps faster, integrate apps easily, and make apps smarter. You realize that moving from your old processes to Salesforce CPQ will require both change management and system modifications, but don't know where to start. From defining data structures to building data migration strategies and planning deployment steps, discover the latest best practices that lead to a successful Salesforce CPQ implementation. Join us to hear what we have learned from years of experience helping our customers successfully launch Salesforce CPQ in their organizations. The Open Source Initiative (OSI) is celebrating its 20th Anniversary in 2018. The open source core team at salesforce will be providing high-level insight into open source at the company. This session is for you if you are looking to learn more about an overview of the top three open source projects that are built on top of our Lightning Platform, that you could leverage in your day to day life. Be part of the phenomenal transformation to adopt and contribute to these projects.This is a great opportunity to find out more about these cool projects and be able to interact directly with core committers. With over 5 million installs, AppExchange is the leading enterprise marketplace where customers find solutions to their business needs. Join the ISV Technical Team for an in-depth look at the steps for designing and releasing an app on AppExchange. Whether you are a small business, independent software vendor, developer, or aspiring entrepreneur, building and distributing apps on AppExchange has never been easier. More often than ever before, companies are finding themselves trying to integrate third-party Web services with Marketing Cloud. Knowing how to correctly integrate with Marketing Cloud is a huge win, but, it is not always easy to get all the pieces of the puzzle together. 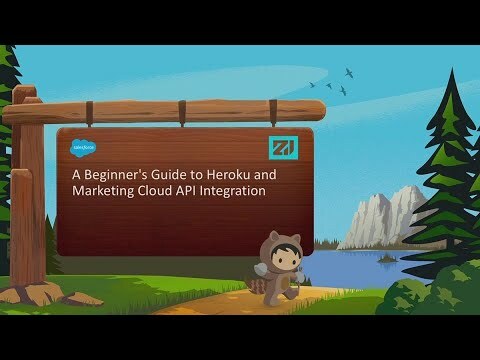 Join us to learn how the Salesforce Marketing Cloud API helps developers fully exploit the benefits of Heroku's Node.JS capability to Integrate third-party APIs directly with Marketing Cloud Data Extensions. Process Builder is the coolest thing for admins, stealing the spotlight from headless flows and threatening triggers, right? Not so fast! Each of these tools shines in different situations. Join us to learn how to know which tool to use, which features fit your requirements, and which limitations might drive your decision. Recreating your complex Visualforce Pages as Lightning Components can be quite the challenge. 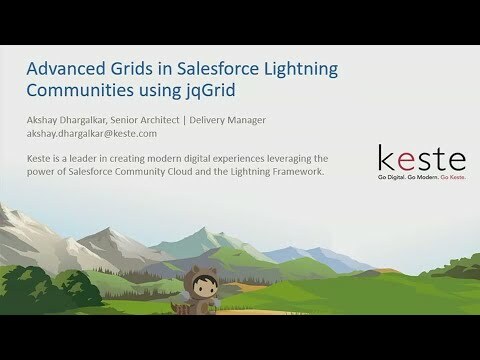 In this session, you will hear about the journey of a real Visualforce Page becoming a Lightning Component. You'll learn the gotchas and lessons learned while also hearing about patterns and best practices that were used to accomplish the transition. Whether you're a developer, a designer, or a product manager, come learn how you can take your career to the next level by getting involved in open source projects. You'll learn about tools, processes, and even some projects in the Salesforce ecosystem that you could get involved with! Leave with concrete steps to take to get involved and send your career into overdrive. 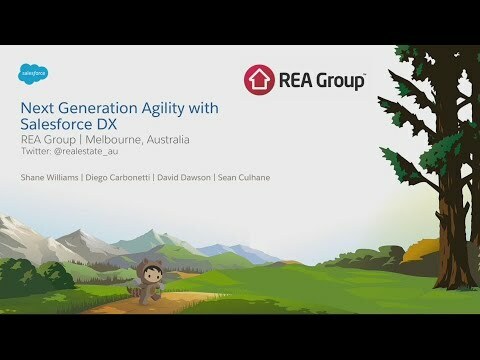 Come learn how REA Group is leveraging a fully-automated, agile deployment process, powered by SalesforceDX and BuildKite, for verification and testing, scheduling builds, and dramatically reducing the time it takes to release, from 2 weeks to 20 minutes. Augmented intelligence promises to make employees ever more productive. But only if the prescriptions it generates are available where they work. Learn how to inject "in context" intelligence into your app through the power of Einstein Discovery. Testing your code can feel laborious and hard. Dependencies can make tests hard to follow and understand. Thankfully, the Lightning Platform has tools to make testing faster, easier, and more exciting. Join us for a deep dive into advanced testing topics including mocking, stubbing, avoiding the database, and writing custom assertions. Never heard of those? That's OK, we'll introduce and demo exactly how they work, and why. If you know how to build basic Lightning Components and are ready to go to the next level, this session is for you. Join us to learn how to reuse code between components, use popular third-party libraries, cache data efficiently, and other things you didn't know you could do with Lightning Components. John Daniel - Rootstock Software, John Storey - MIL Corp.
Salesforce DX and Unlocked Packages further enable source-driven development for customers and ISVs. 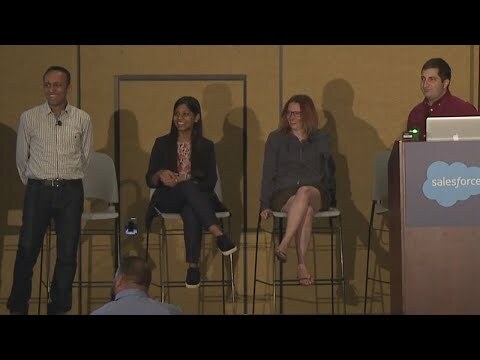 In this session, learn about advanced tools and techniques -- including Apex Commons Framework, Custom Metadata Type-based dependency injection, dependency-injection-based platform-events distribution, and object-oriented "SOLID" principles -- for architecting your code to take full advantage of these new features. As an API-first product, Salesforce IoT hosts a rich API that you can use to complete your entire IoT workflow - as well as implement more advanced integrations with your other tools. This session will provide an overview of REST APIs, show you how to use Workbench, discuss the IoT resources, and point you toward next steps for automated access; all of these skills can be applied to other Salesforce APIs. This session is appropriate for developers and advanced admins wanting to learn more about the IoT data model and how to multiply their impact on IoT projects. Learn how you can build the ultimate competition app using Apple Watch data to have fun challenges with colleagues. Join us to explore the integration with Apple HealthKit and see how to transform data into a dashboard masterpiece. With the birth of Salesforce DX, we launched the Salesforce CLI. But the CLI isn't Salesforce DX, and Salesforce DX is not the CLI. No! The CLI is a powerful tool to interact with many parts of your org that have nothing to do with Application Lifecycle Management. Whether you have adopted Salesforce DX or not, you will walk away from with practical hands-on examples to boost your Salesforce Developer or Awesome Admin productivity with the Salesforce CLI. In our increasingly connected world, data creation is accelerating, and the ability to understand how various data sources relate to each other is a key competitive advantage in building effective data science products and conducting meaningful analyses. 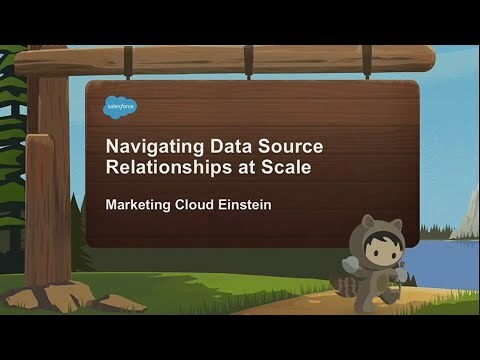 Learn about how Marketing Cloud Einstein products navigate data source relationships at scale to enable data partnership discovery and advanced consumer segmentation. Join us as we cover how to create and manage data in Quip Live Apps. Specifically, we will go over the basic structure of an app in React, how to store the data in rootRecord so it remains on page refresh, and how to attach event listeners to notify users. We will also cover how to export data from the rootRecord for storage elsewhere (ie. Google Sheets). 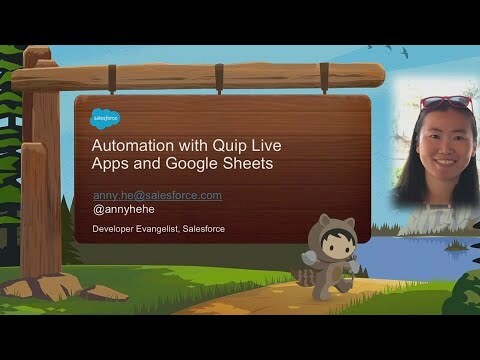 You'll return to the office with actionable tips to get the most out of Quip Live Apps. Cross-site scripting, SOQL injection, open redirect; even if you've heard of these security vulnerabilities, you might not know how they work. Join us as Salesforce security engineers explain how these common web application vulnerabilities manifest in your code and how to banish these flaws from your code for good. Hear from Univar's CISO on how this Trailblazer replaced a 15-year legacy commerce investment and lapped it in 8 weeks with B2B Commerce, on the Lightning Platform. B2B Commerce provides you and your organization the familiar advantages of clicks not code extensibility, platform scale and the open, trusted Salesforce architecture. It also allows you to connect all of your systems with MuleSoft and Heroku. Salesforce B2C Commerce continues to improve its developer experience by allowing brands to experiment, advance and be agile with their design, development, testing, and deployment. Discover how customers are using our latest development innovations to improve their processes and see our new Developer Sandboxes (now in beta) in action. 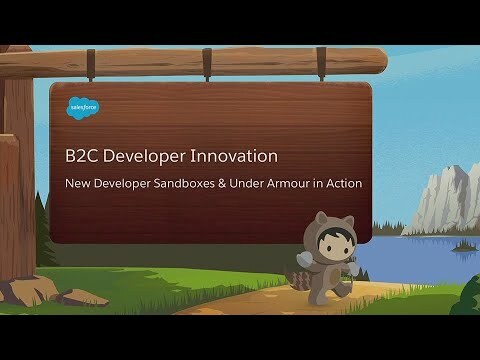 Hear from Under Armour and how their participation in the Developer Sandbox beta program is improving their Commerce Cloud development experience. Whether you're a Lightning newbie or veteran, chances are you're bursting with questions about the Lightning Design System. In this session, we'll go back to the basics and discuss what the Lightning Design System is and why we built it. We'll break down the different pieces of the Design System site, and discuss all the resources available to designers and prototypers, such as the Sketch UI Kit. In addition, we'll review the system from a developer's point of view, and explore various ways to enhance your workflow by using our components, accessibility guidelines, and documentation in tandem. 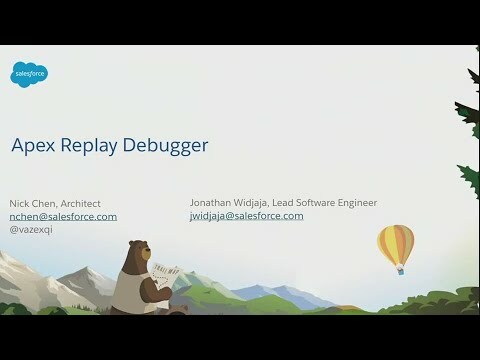 We introduced the beta version of Apex Replay Debugger at At TrailheaDX '18, to the excitement of Salesforce developers everywhere! Now, based on your feedback, we have introduced several new features to make Apex Replay Debugger even more powerful for your debugging needs. Stop by and see how you can take advantage of Apex Replay Debugger, going GA in Winter '19! VS Code is the new standard IDE for Salesforce developers. Join us to learn the basics of VS Code, what the Salesforce extensions for VS Code are, and how you can squeeze ultimate productivity out of the IDE and its capabilities. Whether you're moving from the Force.com IDE to VS Code, or are brand new to developing on the Salesforce Platform, you'll walk away with a ton of tips to become even more efficient in your day-to-day Salesforce development. 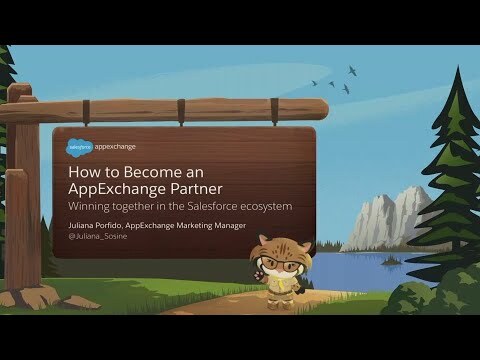 Did you know that 87% of salesforce customers and 95% of the Fortune 100 use at least one AppExchange app. If you're a developer, small business, or aspiring entrepreneur that is interested in launching a product on the AppExchange, then this session is for you. 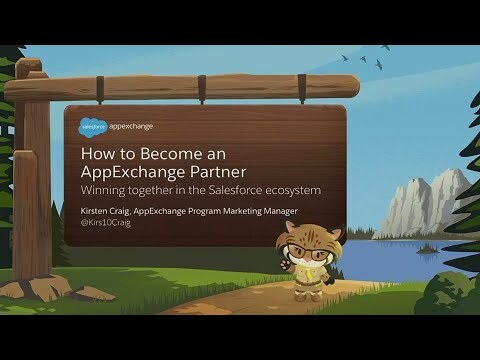 In this session, you'll learn how to get started as an AppExchange partner and best practices for succeeding in the Salesforce ecosystem. 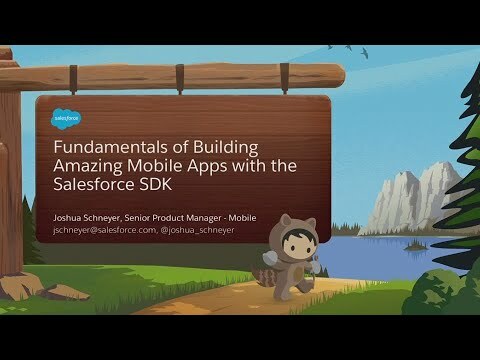 Join the SDK product team to learn about best practices for developing apps with the Salesforce Mobile SDK. We'll also cover working with the updates in mobile identity and authentication. The latest SDK makes it easier to build mobile apps for employees, partners, and customers on the Salesforce Platform. 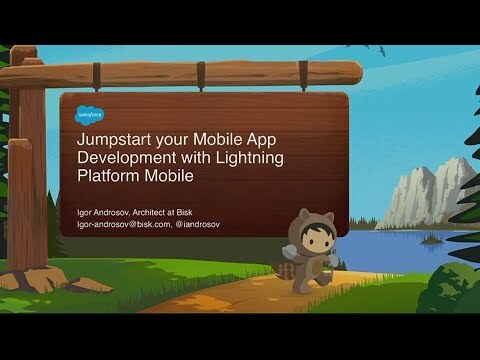 In this session, App Builder developers share their tips, tricks, and best practices for creating Lightning Components that stick. The team will show how to add admin-friendly properties, Lightning styling, and powerful new component features that will make your components easy to adopt throughout the business. By combining developer-built Lightning Components with the App Builder declarative framework, and these best practices, you'll be ready to build components that are truly optimized for use and reuse. Excited to use Einstein Bots to provide a seamless intelligent support experience to your customers? Embark on a journey with us as we share how Salesforce built a chatbot on help.salesforce.com using an Einstein Bot. We'll showcase our experience with the Natural Language Processing platform to help you make the smartest bots around. Salesforce has been acknowledged as a trailblazer for equality and giving back in the tech space and beyond, but did you know that much of this is powered by its employees? A powerful network of Ohana Groups (Employee Resource Groups) drive much of the conversation as it relates to raising awareness and support for underrepresented and special interest groups. 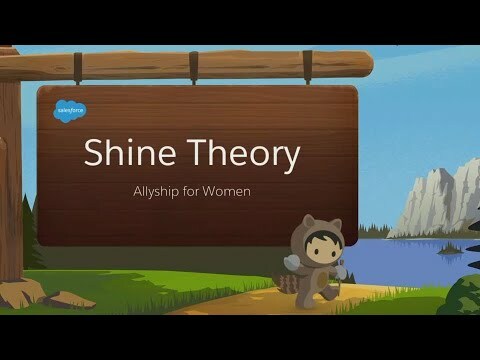 Join a member of the Global Leadership as she shares lessons learned from her time has a leader so you too, can use your Salesforce skills to become an equality ally. Mobile apps are everywhere and for some situations where a highly customised frontend is key, a mobile app with a Heroku backend is a fantastic way of delivering a great user experience. But how hard is it to get started? How long does it take to create a Heroku API and a mobile frontend to display some data? In this session, you will see how easy it is, with a mobile app running on a device, collecting data from a Heroku API, all built from scratch inside the 40 minutes, or your money back! Are you wondering how to build and deploy Docker images to Heroku? This session gives you a brief introduction to Docker, followed by an interactive demo of deploying Docker images to Heroku. You'll leave with a solid understanding of how to build and deploy Heroku applications using Docker. Are your Service Agents spending too much time on simple, repetitive or routine customer requests? Join us to gain an understanding of Einstein Bots, related components, and how to build your own smart ChatBot, powered by CRM data, in a few easy steps. You'll be able to build your own Virtual Agent ChatBot so your Agents have time to work on more meaningful customer issues where human interaction is required. If you have been in a unique situation where none of the existing deployment tools could satisfy your requirement, then this is the session you have been waiting for. Perhaps you wish to create your own tool but it's either too complex or time-consuming. In this session, we will create a Salesforce DX plugin in just 15 minutes. This plugin will export object metadata and its field information in a file. You will learn to create a plugin for Salesforce DX and how Salesforce DX can be used beyond metadata deployments. You will also learn to think about possibilities and the importance of Salesforce DX tools in the day-to-day life of an admin or developer. Join us to learn how we can take an amazing Peruvian musical instrument named Cajon and connect it to Salesforce. Get musical while learning how to use the Salesforce Streaming API, Platform Events, Raspberry Pi, Arduino, Python, and Processing Programming for a very cool animation within the Salesforce Lighting Experience. Build and Release a CLI Plugin - LIVE! You already know that the Salesforce CLI improves developer workflow and CI/CD. But did you know that you can build powerful plugins to make the CLI more flexible? In this session, we will take an advanced plugin concept from design to release ? during the session! Machine Learning software differs from traditional software in that outcomes are not based on a set of hand-coded rules and are not easily predictable. The behavior of such software changes over time based on data and feedback loops. The results and predictions of a machine learning model are not always clear. Join us to learn how Salesforce Einstein provides you with insights into why models behave the way they do, and build trust and confidence as a result. We'll cover model explainability, and how we seamlessly integrate this into the machine learning pipeline. Custom metadata is great for adding configurability to applications, but there are times when the standard setup UI isn't adequate, as it requires setup privileges and admin skills. You can potentially create a much better experience for users and admins by creating custom configuration pages in Lightning. In this session you'll learn how to build configuration pages using Lightning Pages that support complex validation, fine grained security, and that are easy to use. Along the way you'll learn how to read and update custom metadata records from Lightning Components. Now you can build highly custom websites, portals, and forums to engage all your external stakeholders with Lightning Community Builder. Take advantage of the rich digital experience platform of Community Cloud, integrate external data, and expose your custom objects to all your customers and partners. Having the ability to customize your application's user interface is essential to achieving your specific business goals. Luckily, flexibility in customization is at the core of the Salesforce Lightning Design System (SLDS), whether constructing larger components or composing one mega Lightning component out of smaller ones. Join us to learn how to turn an SLDS Component Blueprint into a custom Lightning component, and how to use those components as building blocks for your application. As your Community grows, performance and scale are incredibly important. We will walk you through best practices, how to leverage the Content Delivery Network (CDN), and other great hints and tips to keep your Community and Custom Components running Lightning fast. Salesforce DX is all about using the tools you know and love to be more productive. Join us for a deep-dive into what we have been building to enable smart code completion across multiple IDEs: language servers. 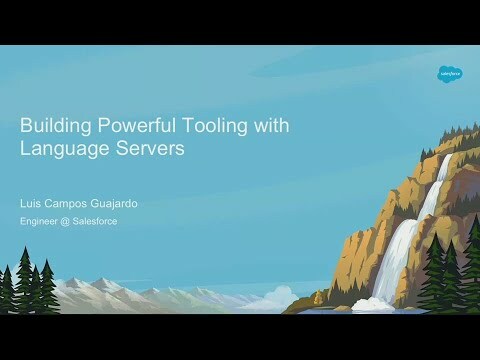 You'll walk away with an understanding of the philosophy behind language servers and how you can take advantage of them for your own tooling needs. Quip transforms the way teams work together. With just a few lines of code, you can extend Quip's collaboration platform to the apps your teams use every day. 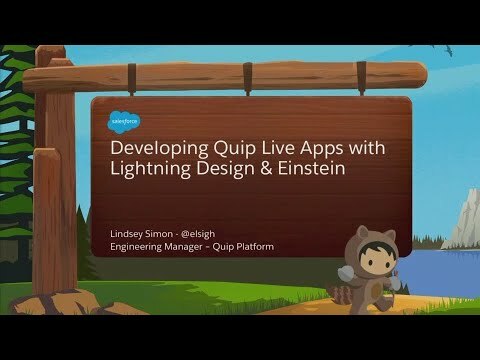 Join us for an overview of customizing and extending Quip, and a deep dive into how the team brought Einstein Analytics into Quip documents. Earning certifications can be a daunting process: from learning the right skills, to preparing, and finally sitting for the exam. We want you to succeed and our goal is to make the journey stress free. Join us as we share tips from proctoring tons of certification exams and fielding hundreds of questions from community members like you. 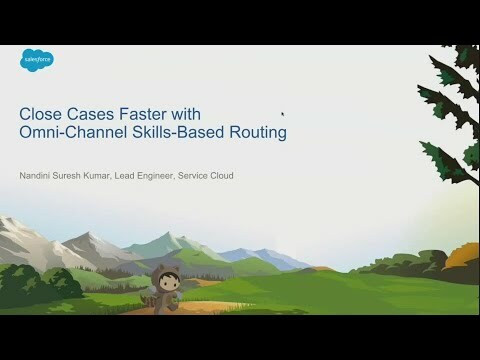 Ensure that cases are always routed to the right agent to solve the case the first time with Omni-Channel Skills-Based Routing. Automatically push work to agents based on their skill set, availability, and capacity through the power of the Omni-Channel routing engine. Join us to learn how to create and assign custom skills and set up routing workflows so work is always routed to the right agent at the right time, improving the quality of service for your customers and empowering your agents to close cases even faster. A manageable development process and clean code are pivotal to quickly developing new functionality. The most significant challenge is determining what the first steps in the journey are. You'll learn ways to manage your development process using Salesforce DX and write cleaner code. 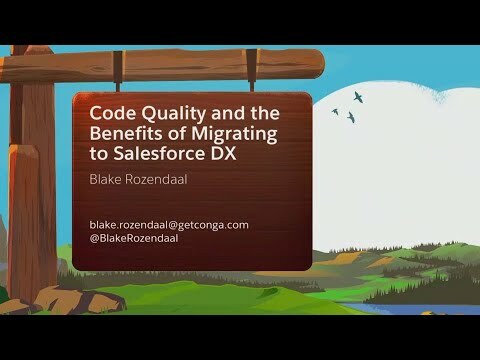 After this session, you will be equipped with a plan for how to improve your development processes using Salesforce DX, along with some ideas about how to build your clean code standards. Commerce Cloud is empowering developers with innovations that enable fast, easy customization, continuous iteration, and development of new digital experiences. In this session, learn how a leading brand, Gymboree, is taking advantage of Commerce Cloud's latest innovation - the Storefront Reference Architecture and Open Commerce API (OCAPI) Explorer. The developer speaker will provide their first-hand experience, best practices, lessons learned, and journey to production. To effectively leverage the benefits of event-driven architecture on the Lightning Platform, it's important to understand how components communicate with each other and within themselves in an app. Between component events, application events, the Lighting Data Service, server-side calls and user actions from the browser, there's a lot of communication flying around! This session will cover and clarify communication best practices, including sample app architecture and patterns for event configuration, firing, and handling. You'll leave with a clear understanding of event patterns in Lightning apps and sample code to modify for your own applications. Sensors, connectivity, and business apps - oh my! Whether you're embarking on your first IoT project or revisiting a solution that didn't quite perform as you hoped, you'll want to attend this session to learn about the technologies and skills your organization will need to implement your next successful IoT project. 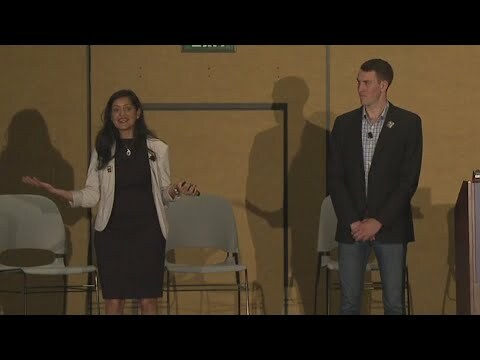 A Salesforce IoT product manager and a Salesforce consultant will share a blueprint that you can apply to kick off and drive your IoT project to success. Ideal for CTOs, partners, architects, and developers. With MuleSoft, businesses have the ability to create, secure, and manage APIs for any system, process, or experience - but have you thought about how to connect MuleSoft APIs with Salesforce? Are you interested in making that experience easy? Join us for a conversation and tour as we demonstrate the fastest path to seamless API integration with MuleSoft and Salesforce Identity. We'll share best practices for authorization and authentication of APIs in MuleSoft using Salesforce Identity, and show you how your business can take full advantage of MuleSoft's API lifecycle capabilities with the Identity tools you already know. Nowadays, continuous integration (CI) is a must have in any serious project if you want to keep your code clean, efficient, and highly reliable. However, if you don't have enough experience, you could suffer a lot trying to integrate it into your projects. But NOT anymore! Thanks to Salesforce DX, you can adopt CI easily, faster, and enjoy all its benefits. We are going to share examples of how you can take advantage of continuous integration in all your Salesforce projects. 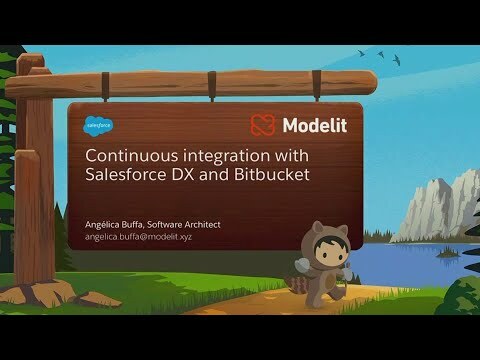 If you are using Salesforce DX, Bitbucket, and want to set up a continuous integration fast and easy, this session is for you! You can easily integrate Salesforce CLI commands into Bitbucket pipelines to automate testing and deployment of Salesforce applications. In this session, you will learn what pipelines are, how they work, and how to configure a continuous integration using Salesforce CLI. After attending, you will be able to set up a basic configuration in a few steps. The possibilities are unlimited, it only depends on you. 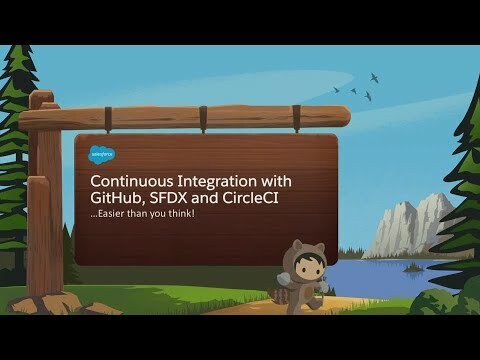 Continuous Integration with Salesforce DX, GitHub and CircleCI? You Bet! You've written some awesome code, built a pretty Lightning component, or even just added some fields, but now you have to get your work into production. Put down that changeset, there is a better way! You might think that setting up CI is too hard or you aren't sure how to get started, well today you will learn just how easy it is, and how much it can speed up your development lifecycle. Have you ever "almost" deployed bad code or customizations to Production? Are you struggling with change sets, out-of-date sandboxes, and inconsistent test results? Learn about the architecture of a continuous integration (CI) solution built around Salesforce DX and CircleCI. Discover how you can use CI to add more value to your development process with tools like static analyzers, code coverage visualization, and full automation of your Lightning and Apex test processes. Uncover how these tools and systems work together to deliver instant insight into your development lifecycle. With sharing or without sharing, that is the question. The answer can impact your ability to harden the code for your Salesforce app and to keep your data secure. In this session, you will learn best practices in sharing, Field Level Security, CRUD, and the common mistakes and misconceptions about how these features work. Gustavo Melendez - Soliant Consulting, Inc., Krystian Charubin - Soliant Consulting, Inc.
Integrations need to evolve as an application's data needs grow. Don't get stuck rewriting your code to handle new data. Instead, future proof your integration by using Custom Metadata. A properly architected and configurable API can greatly reduce maintenance costs and allow Admins to own the configuration of a custom API integration. 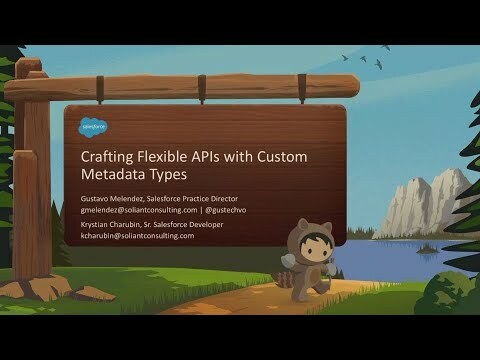 Join us to learn how to create a custom and configurable APEX REST API that accepts a JSON payload from a webhook, and uses Custom Metadata and Entity Definitions to dynamically map data to Salesforce Objects. Learn why you should be leveraging Custom Metadata to give your customers the power to customize your apps, and how to provide rich user experiences to manage the Custom Metadata records. Join two Salesforce.org developers to learn how the Nonprofit Success Pack team used Custom Metadata, Lightning Components, and the Metadata API to give admins a user-friendly custom UI for configuring the NPSP rollup engine. Everyone can be a leader! You will learn methods to create leadership opportunities within your technology teams based on our organization's experience. Hear our story of how we cultivate leadership opportunities at every level. 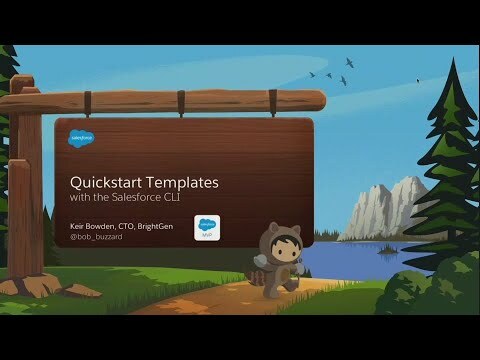 You can use Lightning Components to customize your Salesforce org in many unique ways. In this session, you'll learn about a new way to use Lightning Components to enhance your record home pages in Mobile. Join Mobile Product Managers, Victor Oliveros and Sheena Lee as they demo the new Lightning Experience in Mobile, and show you how to customize your user experience across mobile devices, using the Lightning App Builder. You've built an innovative app that solves a critical problem, and you've made it available with an API - but why aren't people using it? As it turns out, there is a lot more to building great APIs than coding. Developers must also take on a product management mindset throughout the API lifecycle. 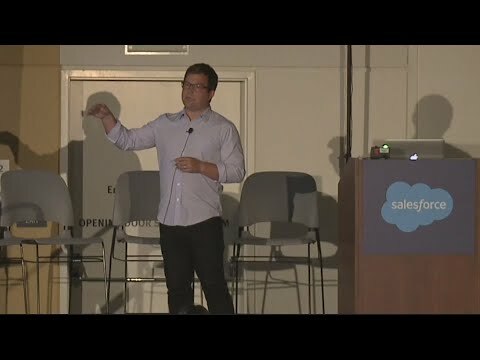 In this talk, you will learn best practices and practical tips for utilizing Anypoint Platform to promote your APIs so they achieve broad adoption. AMPscript is a powerful scripting language that is unique to Salesforce Marketing Cloud. It provides a standard personalization language across all digital marketing channels, enabling rapid development. AMPscript can seem intimidating when you're getting started. But it really doesn't have to be, as the language follows a simple syntax and semantics, making it easy to learn and code. Anyone can learn AMPscript. In this accelerated session, you will learn AMPscript fundamentals, frequently used functions, and best practices, enabling you to quickly become proficient in your use of the language. After this session you'll be able to leverage AMPscript to improve your marketing results, and have fun while you're doing it. 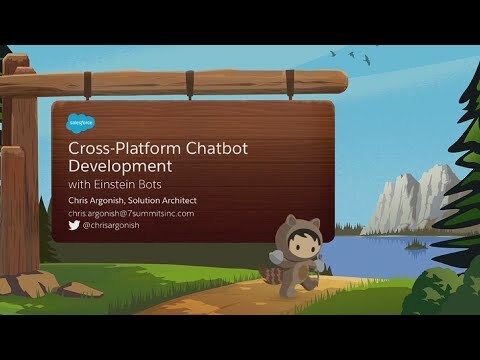 With Einstein Bots now Generally Available, you can create cross-platform (web & native mobile) intelligent chatbots with clicks, and just a few lines of code! 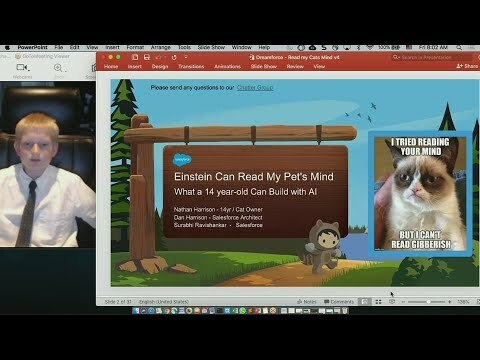 In this session, we'll create an Einstein Bot, add it to our Lightning community, and deploy to our company's native iOS app. Einstein Bots are truly a breakthrough as developers look to build cross-platform chatbots that are connected to their enterprise. This opportunity didn't exist prior to the Summer '18 release, so what are you waiting for? Let's build a chatbot! With recent enhancements to the Lightning Data Service, creating a basic form that can create, view, or edit a record has never been easier, and it doesn't require writing a single line of Apex. In this session, we will focus on an introduction to the Lightning Data Service, the advantages of using it, and how it can save development time. You will learn how to make use of the new recordForm component, and creative ways of using it within the Lightning Experience to boost usability and productivity. Join us to dive into the new world of MuleSoft within Salesforce. Managing Data Integration is commonly one of the most important aspects of a Salesforce implementation. Companies need to have a good data migration strategy when they move from their legacy systems to Salesforce, or simply when they want all their systems to seamlessly communicate. You'll learn how to use the out-of-the-box connectors provided by the MuleSoft Anypoint Platform to build scalable data integrations and flows with minimal code. Data Objects are used to load data once and access it across shared components. It not only saves server trips to improve performance, but also maintains a consistency for users without rerendering or reloading pages. In this session, you'll explore how you can take advantage of this architecture to reduce complexity in Lightning components without writing any Apex code. Transforming data between systems can be difficult and error-prone. Traditionally, it takes a lot of code to parse, transform, and serialize data from one system to another. This issue is compounded when the systems do not communicate using the same data format, or when their core structures differ completely (e.g. nested JSON objects transformed into flat CSVs). AnyPoint Platform's DataWeave is a powerful data-format agnostic transformation language that deals with this complexity behind the scenes, so developers can focus on transformation logic. It provides the functionality and expressiveness to develop complex transformations with less code and fewer bugs. In this talk you will be introduced to the DataWeave language and learn about specific aspects of the language that allows developers to create concise, consistent, and predictable data transformations. Locker Service is a powerful security architecture for Lightning Components. It promotes best practices and helps us in writing secure code. In this session, we're going to learn about Locker Service in detail and address why Salesforce introduced it, Access DOM using Locker Service, Secure Wrappers, approved operations, disabling Locker Service, and best practices and considerations. High Volume Platform Events unlock high-throughput, high-value event-based architectures to replace fragile, and point-to-point integrations. Learn how decoupled, real-time apps can be built using Apex Triggers, Workflows, and the Streaming API. Jumpstart your knowledge of Platform Events and event-driven systems with this fast-paced session. Learn how to leverage the latest innovation for business process automation on the Salesforce Platform across the customer service experience. You'll see how you can create easy-to-follow, visually guided processes with Lightning Components powered by Lightning Flow. You'll then, deploy these processes across any channel to supercharge the customer service experience. Machine Learning (ML) can solve numerous problems for business, but identifying which problems to solve first can be a challenge. The ability to understand the impact and applications of an AI technology that can automatically learn and improve from experience is crucial to a business. In this session, you'll learn firsthand from a Salesforce Data Scientist and a Developer how to properly define your machine learning problem so that you are equipped to more effectively solve it. Using Einstein Prediction Builder, we'll will step through how to translate your business problem into a live model. In this session, you'll learn how to use SOSL to search Salesforce for matching leads, contacts, and accounts, post Chatter messages automatically, and integrate third-party APIs to retrieve additional information, such as a company name from an email domain. You'll see how the same integration can be implemented on the Salesforce Platform as an Apex REST web service, or as an external app - in this case in Node.js using the JSForce library, running on Heroku. We'll examine the trade-offs between the two approaches and give you a basis for selecting the right option for your situation. Learn how easy it is to seamlessly integrate your Content Management System (CMS) into Lightning Communities with CMS Connect. Introducing our Native Content Management Solution, you can start creating and managing your content in Salesforce to serve CRM-powered personalization to your users. Join us as we explore the Heroku developer experience, designed to help you build, deploy, and manage everything from large complex applications to last night's hack. 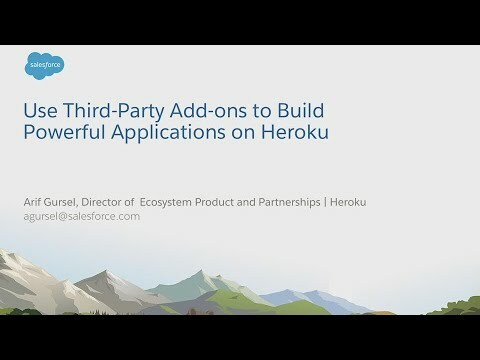 In this session, you'll get a tour of Heroku's many deployment options, a demonstration of how you can attach third-party add-ons in a single click, set up a team-based continuous delivery pipeline, and gain visibility into the runtime characteristics of a production application using metrics. Salesforce Commerce Cloud empowers brands to build immersive experiences that are easily delivered across consumer experiences. Discover how merchants are pushing past the boundaries of traditional ecommerce engagement with Salesforce's Open Commerce APIs (OCAPI), and learn about Commerce Cloud's path forward for API-driven commerce. Commerce Cloud architecture and development has undergone a major transformation with the introduction of Storefront Reference Architecture (SFRA). The global proliferation of smartphones and tablets has meant that mobile-first sites have become a necessity. This session will provide a detailed analysis of SFRA, how to leverage it for building mobile-first Commerce Cloud sites, and the various considerations involved in the process. Unlocked Packages are generally available in Winter '19. Join us to learn everything you need to know about unlocked packages. 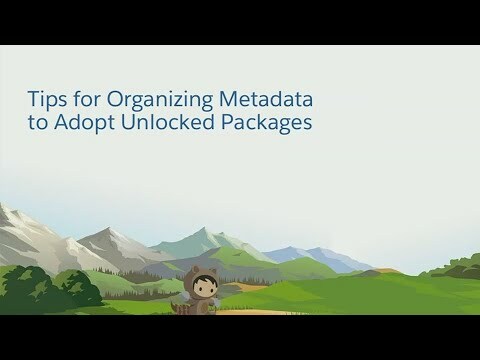 We'll share best practices for package-based development, how to leverage tools from Salesforce DX, and how you can use unlocked packages to deploy and organize metadata in your orgs. There will be some cool demos that showcase how you can bring all this together. In this session we'll walk through how external design systems, pre-built themes, and theme packaging help you create engaging digital experiences with Community Cloud. Take advantage of the rich suite of tools in the Lightning Community Builder to create incredible UX for your Communities, Portals, and Sites. Big Objects represents an entirely new paradigm for storage on the Salesforce Platform. 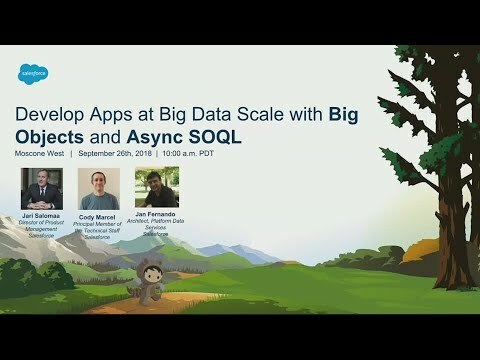 Join us to learn what Big Objects means for app dev, and how you can use new query techniques like Async SOQL to manipulate data at scale. 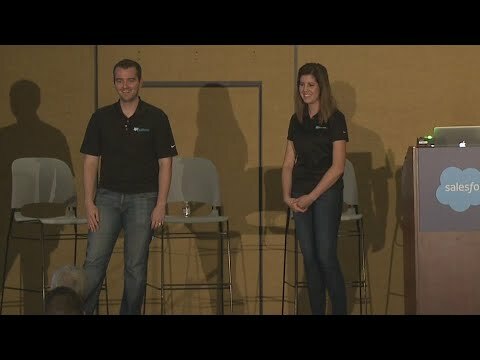 Meet the Big Objects engineering team, learn about the architecture, and hear how businesses and partners are utilizing Big Objects today. Join us to get an overview of how Einstein Vision and Language can automate and streamline workflows across industry use-cases. This session will cover the building blocks necessary to leverage these services through an AI Agile methodology that encompasses how to structure your datasets and incorporate feedback loops. You're invited to an epic, action-packed Demo Jam where six AppExchange partners will each have only three minutes to showcase the best of their developer apps with a real-time demo. The winner is chosen by you, the audience. Join us for this fast-paced, highly-anticipated battle of the app demos. Prototypes are a very effective technique for testing new ideas and iterating on them: the closer to reality and the more interactive a prototype is, the better... and the more effort it needs. 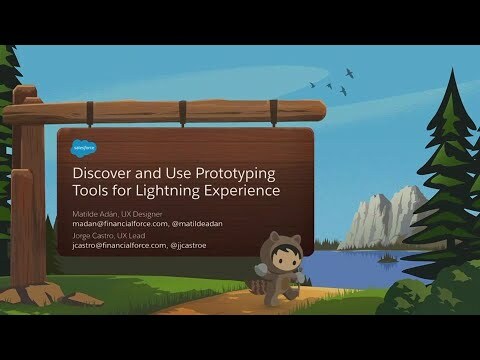 In this session, you'll learn to use Lightning Experience prototyping tools to experiment and refine concepts, in record time, to achieve a better user experience for your customers. In a post-GDPR age, where customers worldwide are evaluating data use and consent, customer loyalty will shift to those who best manage and protect their data. Fortunately, this doesn't mean there needs to be a tradeoff between user experience and preference management. In this session, you'll hear security and consent experts at Salesforce share data privacy best practices and new features coming for privacy management. Learn how a rich consent experience fosters brand loyalty for the long haul, all while opening up new opportunities for deep personalization. A step-by-step guide to using SAQL to answer complicated business questions. Sometimes data is scattered across multiple datasets. This session focuses on how and when to use SAQL in Einstein Analytics to create steps that leverage varied sources. Nathan is 14 years old. He has a cat that is too hard to figure out, so he decided to use AI to try to provide better care for his cat. Using Einstein Vision and IoT, he built a project that tracks his cat and makes sure it is getting the best care. Come and learn how it works using a Raspberry Pi Zero, linked into Salesforce IoT, and Einstein Vision to track and report on his cat's needs. You will leave with the overall design and how you could build a similar project for your business use case. Different business processes require different strategies for building predictions, whether it involves external data or data right inside your CRM. How do you decide which methods to use when solving your business problems with predictive and prescriptive analytics? We'll share approaches and best practices when applying Einstein Prediction Builder and Einstein Discovery to common business challenges using the power of AI and machine learning. Einstein Vision: Train Your AI Like An Expert! 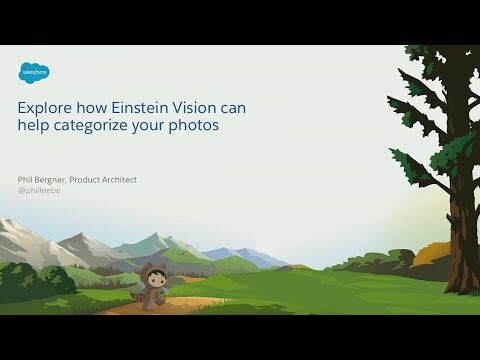 Come learn what computer vision is, how Einstein Vision relates to it, why a representative dataset matters when working with computer vision, how to properly structure a representative dataset and the importance of feedback loops and Agile AI. By the end of this session you'll have Einstein trained and working for you. Come learn how the Einstein Vision API can be used to help food consumers live a more healthy lifestyle. By leveraging the Einstein Vision API to predict food items from a picture, we can help consumers more easily find the nutrients and caloric value present in each food item. This data can then be used to measure the daily caloric value/nutrient needs of the consumer, and recommend healthy alternatives. Do articles telling you that the robots are coming for your job make you feel anxious? It's ok, everyone does. But, there's really no need to feel overpowered by AI. Join us for a discussion about what you can do today to feel empowered by AI and how you can harness it to deliver value to your business. These days security is critical and we need to mitigate vulnerabilities when creatIng a login process through Heroku to Salesforce. Come to our session and learn how to take advantage of the out-of-the-box Salesforce login system to validate users connecting via OAuth2. Lightning Flow brings Devs and Admins together to collaboratively build Lightning Platform solutions. Admins declaratively create simple flows, while Developers implement custom processes using Apex. Join us to learn how to call flows from Apex to delegate processing or grant extensibility to the Admin. Gain understanding of how you can design your implementation with hooks to flow for logic extensibility, and how to build components that can extend existing apps. Salesforce Marketing Cloud provides developers and marketers the ability to use powerful tools to create highly-personalized content at scale. With features like AMPscript, a powerful scripting language, artificial intelligence and the Content Block SDK, users can quickly create great content that scales. Join us as product experts share how developers can give their marketing teams the building blocks to create relevant content that delivers results. Learn how to simplify your Salesforce CPQ approval processes with Slack. 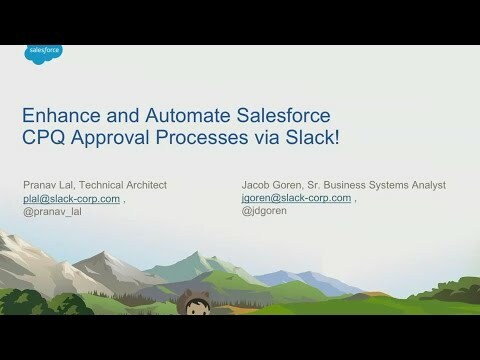 By integrating Salesforce CPQ and Slack, you can create great experiences for your managers and account reps by enabling simplified previews for key deal details, streamlining approval/rejection workflows, driving increased collaboration, and providing transparency throughout the entire approval process. This session will provide the practical steps you can implement today to get your company on the path to simplified approval processing via optimized Slack channel integration. Get a sneak peak into Apex plans, the roadmap, and how we are making secure development easier. We'll share what we are excited about and answer as many questions as we can! We'll also get your feedback on hot IdeaExchange features. 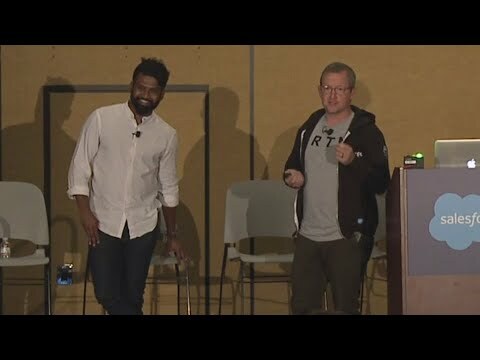 Chris Federspiel - blackthorn.io, Peter Tempfli - blackthorn.io, Inc.
We are telling our story of building a REST API for an already existing financial product (Blackthorn Billing), to highlight our most important considerations. We will show programming patterns that help avoid code duplication when exposing already existing logic to REST context. We make all business processes executable independently with or without touching the database, allow business logic executable in a stateless manner, and create compound REST calls, so complicated business use cases can be completed using the REST API. As a bonus, we will discuss how the good old Separation of Concerns pattern can help to achieve these goals. Building visual and dynamic apps has never been easier. Now, you can build visual flow screens using Lightning Components in Lightning Flow. In this session, you'll discover the power and versatility of components in flows. 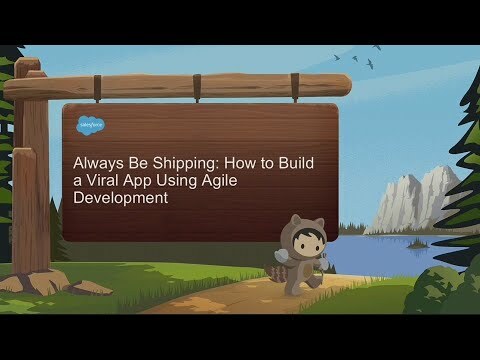 You'll leave knowing how to use the flow components that are bundled in, how to install them from AppExchange, and how to build and publish them with the community. Connecting Salesforce Search to your other systems bring everything together so users can find all the information that they need at once. In this session, we'll share how to build custom solutions that leverage our Search APIs and give your users even more power. 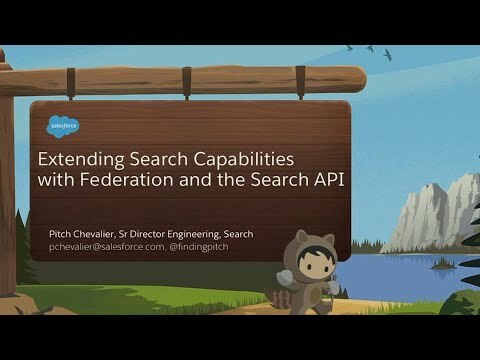 We'll review how federation, or extending search with custom solutions, are built so that you understand the options and can get started. Fragforce started out as a group of friends looking to do good in Herndon, VA and grew to be a worldwide force of gamers playing for the health of their local kids. Come learn how Salesforce helped power it all, turning Fragforce into a successful volunteer organization raising thousands of dollars for local hospitals. You'll hear tips and best practices for international Salesforce instances, hosting volunteer events, and supporting your favorite local organizations. Have you ever wished you could monitor changes in your business more effectively? Analytics templates can help you analyze your business processes in minutes. In this session, learn how you can use productivity templates like Snapshot Analytics, Change Analytics and Time-Series Analytics to analyze changes in your business processes. It's been almost three years since developers began building Lightning Components. During that time, a lot has changed. In this fast-paced session, we'll take a look back at where we've come from and what we've learned, as we watch a component move from manually created markup and CSS from SLDS, to Base Components, and finally to metadata-aware Base Components. Along the way, we'll discuss best practices, share some tips and tricks, explore the magic of Lightning Data Service, and of course, we'll do it all with Salesforce DX. Consumer expectations for digital and mobile experiences have never been higher, and attention on security and privacy has never been sharper. 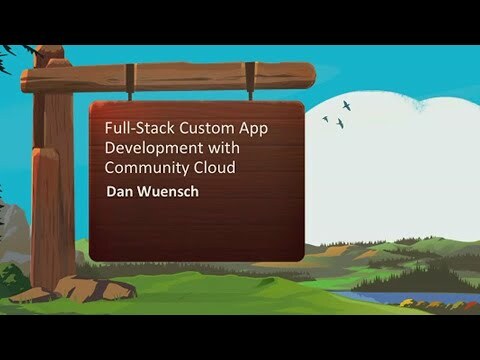 In this session we'll share the lessons we've learned using Community Cloud to develop a digital engagement app for consumers using Visualforce, AngularJS, and Lightning Design System. Learn about the upcoming features in the next generation of the Mobile SDK. Join the SDK product team to learn about developing apps with Swift, Kotlin, React Native, and HTML5. We'll also cover our latest innovations in identity, authentication, data synchronization, and offline storage libraries. The latest SDK makes it easier to build mobile apps for employees, partners, and customers on the Salesforce Platform. Get on the Bus, The Platform Events Bus! Learn how you can build event-driven integrations with Platform Events that are low/no-code friendly and incredibly extensible. 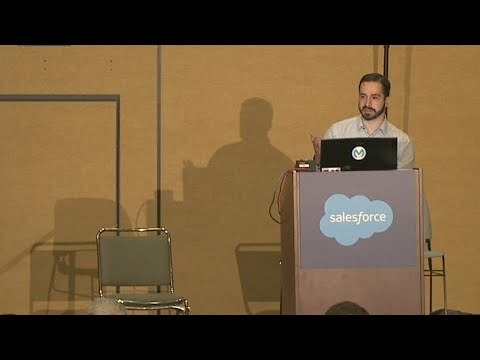 In this session we will build a simple micro-service to integrate our sample Salesforce app with a third-party system on Heroku utilizing Salesforce Platform Events. We will then extend this integration using declarative tools like Process Builder and Flows to perform additional business logic with no extra code required. You will leave with a clear pattern for how to create, configure, and consume Platform Events, and will understand the benefits of designing integrations to be extensible by both developers and administrators. Taylor Kingsbury - Soliant Consulting, Uriel Gutierrez - Soliant Consulting, Inc. Using a version control system for the first time can be intimidating. Learning just a few Git commands can go a long way towards keeping track of code changes and restoring previous versions when bugs are introduced. Armed with just the basic commands, developers can take the first steps towards using Git with Salesforce. This session will walk through setting up a Git repository, creating a branch, committing changes, and pushing those changes to a remote repository. Looking to build Lightning Components that are future-proofed against things like changes to URL formats? 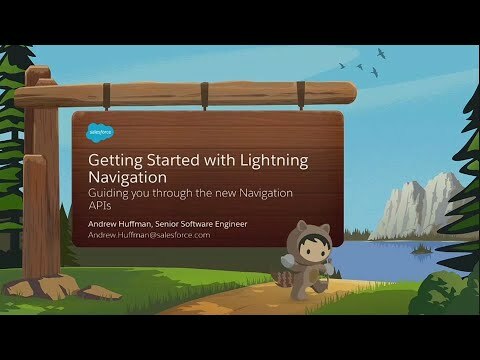 Join us for a deep dive into the new Lightning Navigation APIs. See how you can navigate to different elements within Lightning Experience UI from your custom component, and deliver a user experience that balances control with ease of use. Fully understand the new Navigation APIs, see a demo of the APIs in action, and take a look at our roadmap for this exciting new set of capabilities. Learn how to push your data to Salesforce Marketing Cloud Data Extensions using Marketing Cloud APIs. In this session, we will create a simple Marketing Cloud integration from scratch to push and pull data in real time. The CLI is the first step in learning to develop with modern tools on the Lightning Platform. Even better, it can also enhance your current workflow. The CLI is scriptable, enables Version Control, and allows you to use continuous delivery and deployment. In this session, we will demo the CLI while showcasing all of the best tricks and best practices. We will also share what's new with commands like source:retrieve source:deploy. Salesforce is joining forces with Girl Develop It (GDI), a non-profit organization to help women pursue new skills and careers. GDI is fueled by community volunteers just like you. Join us to hear how the program works, how it is making an impact, and how to get involved. Tired of feeling like you're swimming upstream building complex and time-consuming processes? Help your users ride the wave with Lightning Flow. Learn how Hunter Douglas uses Flow to make a complex process so easy, you could do it in your sleep. Using Lightning Flow and Lightning Components, you will learn how to build beautiful interfaces driven by Flow to make even the most complex process a breeze for your users. Machine Learning methods traditionally assume well-behaved data with well-defined boundaries between predictors and labels being predicted. Unfortunately, in the real world, we have years of minimal, inconsistent data. Using such data as a basis for a machine learning model is not an ideal start to AI. 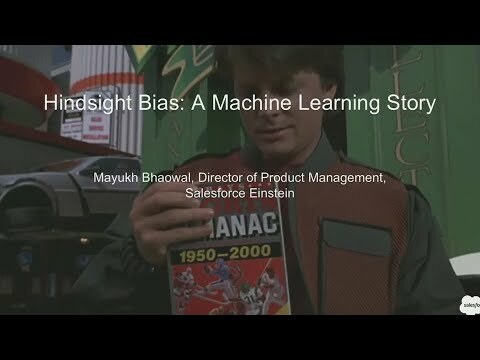 This bias with data, however, can be addressed and overcome, resulting in a robust ML model. In this session, you'll learn from Salesforce Product Management about data leakage, or label leakage, challenges while building Salesforce Einstein and how to detect and fix them automatically. Managing identities and access controls across many orgs, applications, and Identity Providers is a modern necessity, but also a daunting challenge. Join us as we dive into the use cases and demo how you can manage identities at scale, employing a mostly clicks-not-code approach. Learn how to build for multi-org architectures using SSO, Connected Apps, JIT Provisioning, and Login Discovery. You'll come away with best practices and a sneak peak into upcoming features on the roadmap. "Infrastructure as Code" is an important paradigm that helps engineers configure systems in a more dependable and repeatable manner that can be achieved with step-by-manual-step setup guides. Infrastructure configuration is instead captured as code that is checked in, reviewed and rolled out by tools like Terraform. Heroku has a powerfull platform API and a mature Terraform provider. In this session, we'll show you how to use Terraform to build complex multi-app Heroku setups that integrate with non-Heroku resoruces. 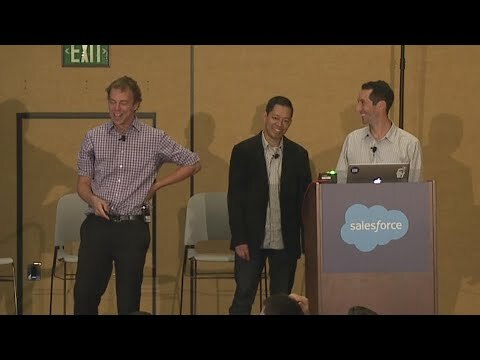 This session describes the story of passionate innovators who collaborate regularly using Salesforce products. The story is about developers, the applications they create, and a widely successful IT program that improves security, user-experience, collaboration, and efficiency. In this session, we will share the Innovation Ohana story and highlight important, and portable, details of our model. You will leave inspired to empower developers to self-organize and innovate through a system specifically designed to foster collaboration and grass-roots development. As expectations for data analytics continue to rise, developers are being asked to create increasingly complex solutions on analytical platforms. 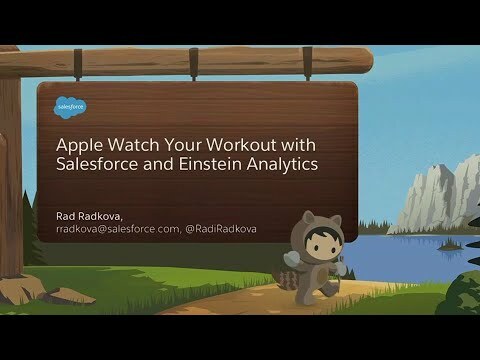 In this session, you'll get an overview of the pathways open to developers through Einstein Analytics, and see some powerful examples ranging from creating Lightning components to embedding a custom computational algorithm with Apex Steps. With the introduction of Bulk v2 last year, Salesforce simplified the process of uploading and operating on large volumes of data. We now look to do the same with Query. 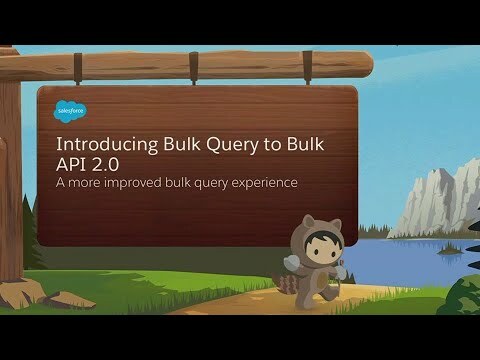 In this session we review Bulk v2, how the new Bulk Query works, and what it means for you. Understand how Blockchain can help your business and how it is incorporated into your favorite Salesforce interface. Learn the importance of Ethereum and Hyperledger Smart Contracts and Distributed Ledgers. 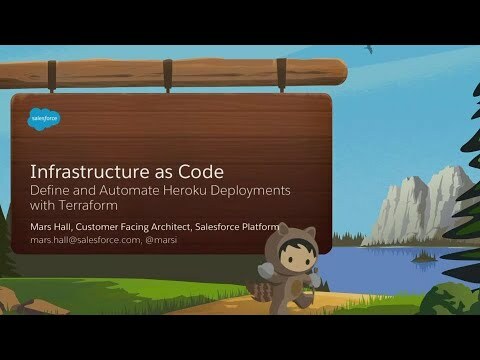 See a live demo of Heroku for Blockchain Add-On and IBM's fabric natively in Salesforce. By the end of this no-hype session, you will have new knowledge and insight into what Blockchain is and how it fits into a Salesforce environment, as well as how to learn more about good use cases for this exciting technology. What's the level of effort needed to implement and maintain Shield? 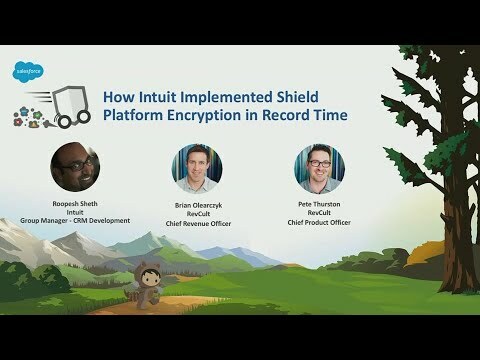 Intuit will share how they rapidly executed their implementation of Platform Encryption with RevCult and minimized their ongoing maintenance efforts in the process. Join us to learn how customers use RevCult to get a single view into their Shield Implementation, dramatically reduce audit time, determine how encryption will impact business logic, and report on encryption status for fields. RevCult's AppExchange product, Shield Security Cockpit, layers on top of Shield to streamline the interaction between InfoSec, IT, and your Business Teams to dramatically reduce implementation and maintenance cycles. Up until now, Visualforce pages have been static and out of sync with the rest of the Lightning page, but a new pilot component is bringing Visualforce into the modern age. With Live Controller, any page can listen for database changes, refresh content, and keep your entire browser in sync with Salesforce. In this session, we explore this component, and take a journey through other components that make old and new Visualforce apps at your business fit in and "just work" in the Lightning Experience. In this session we will demonstrate how to start building mobile apps with the Salesforce AppCloud Platform, enabled by Salesforce, Heroku, Mobile SDK, and Swift. You will learn how to select technologies to build your app, by choosing the path of HTML5, hybrid, or native, and the technical and business reasons behind the choices. We will introduce you to tools available for building mobile apps on AppCloud with an example of native iOS Swift app. The session will be concluded with an overview of architecture patterns to compare and contrast Heroku API vs Salesforce API for mobile solutions. 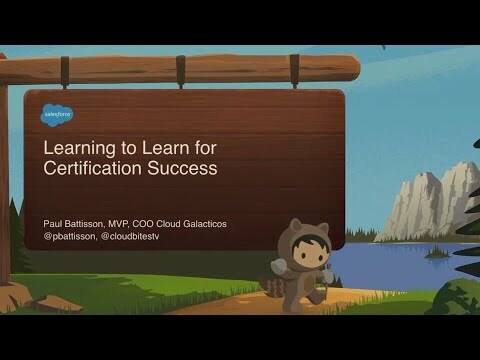 Salesforce Certifications are a key component of every professional's resume, yet often people find themselves cramming for them at the last minute and not retaining information. With three releases a year, multiple products and, for developers, a rapidly changing landscape of tools and technology, how do you best structure your learning to make maximum impact and improve your skills in the best way possible? 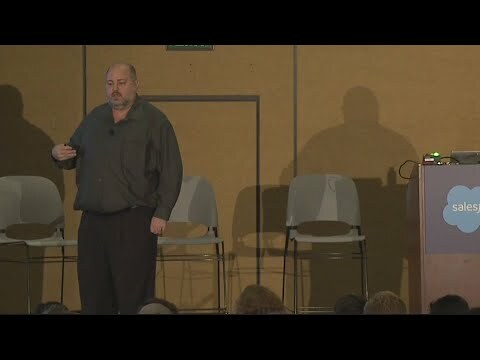 Attend this session to get an overview on how the brain learns, some best methods for building knowledge in an area or product, and some tips and techniques to make sure your certification revision is as effective as possible. CMS Connect offers the ability to reuse components from your existing Content Management System (CMS) website in your Salesforce Community, saving on development time, rework, maintenance, and branding consistency. You'll see how fast and easy it can be to display headers, footers or content from your Sitecore CMS website in your Salesforce Community. You will walk away with an understanding of how to implement CMS Connect in your Salesforce org, along with some code to get you started. Time-critical workflows, like enforcing credit limits, are often bottlenecked by data-heavy decisions. Most of the time someone needs to run a report in a different system and put in the information into Salesforce. Eliminating manual steps, like this one, leads to faster processes, less errors, and minimizes frustration. Einstein Analytics provides the right toolset to easily analyze your foreign data together with your Salesforce records. This session will show how your analysis can drive your business logic and act in real time, how to build it, and what you have to be aware of while developing. In this session you'll learn how to implement Einstein Vision to categorize photos, verify that they were categorized correctly, reduce human errors, and how to teach it to get smarter as you use it. 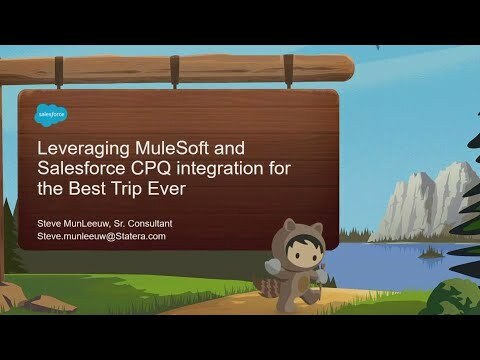 Join us for a thrilling exploration of MuleSoft integrations and how to enable data aggregation from external systems in a flexible manner via the Salesforce CPQ API toolset. The focus of our journey together will be a practical illustration of how you can enable MuleSoft payloads to enhance your customer's experience through quote generation and sending processes. The Lightning Component Library gives you everything you need to make your app the best app on Salesforce. In our demo, you'll learn everything you need to know about the component library, how to find components in seconds, and how to modify and test any component in our new code library. Test automation reduces development cycle times and allows teams to deliver change fast. Learn how Lightning Testing Service, Jasmine, and Mocha take test automation to new heights. This session will present hands-on exercises that highlight these testing methods, and various patterns to help you achieve better test coverage, improve performance, and have more predictable deployments. You'll leave with the skills necessary to reduce manual effort and deliver more effective apps. The Lightning Data Service empowers devs to deliver components that are synchronized and performant, but not everyone takes advantage of its full potential. In this session, we'll teach you how to simplify and enhance your Lightning Components by leveraging the shared record cache in Lightning. Learn how to deploy components that don't require Apex Controllers, FLS, or access right checks, and receive live updates when data on the server changes. Building a component that works internally: easy. Building a component that works well with other components: slightly more difficult. The Lightning Component framework provides various methods for facilitating component interaction such as events, binding attributes, and aura methods. The trick is to learn when each is appropriate and when it doesn't make sense. We'll take a look at several situations ranging from a simple lookup component to a complex configurator, to understand how and when to use these tools. During this session, you will learn all about integration basics. If you aren't sure where to start, we've got you covered. You will return to the office with actionable knowledge of what is an API, WSDL, SOAP or REST and Bulk or Streaming, and when to incorporate or leave them behind. We will define and provide a cheat sheet to help identify the integration solutions that will address your business requirements. A new generation of Salesforce tools are here and represents a giant leap forward in technology. Today's tools include VSCode, Force and Salesforce CLI, Github and Heroku. You can do weird magic like backing up all your configuration in a small number of keystrokes or compare Salesforce Orgs in a single command. VSCode and the command line shell will be our platform to explore new features and archive our ORG configuration in Github. If you are ready to embrace the new world of org management, this session is for you. Know your tools, know your bad-self; meet your deadlines with time left over for a sandwich. Evidence is compelling that gender diversity benefits businesses and society as a whole but, the question for many remains how to best serve as an ally to drive change. This panel presentation will discuss why we need male allies to diversify our teams in a meaningful manner. You'll learn ways to recognize and overcome biases, and working tactics to put to use immediately in your company that will drive communication and understanding across your project teams. 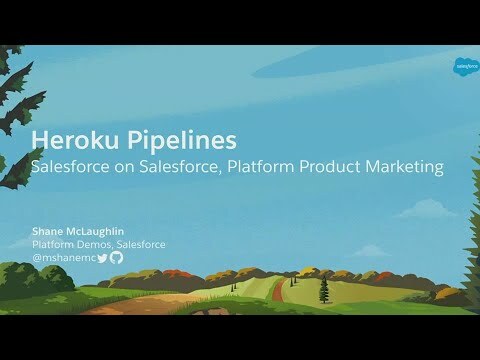 Heroku Connect provides bi-directional data synchronization and virtualization between Salesforce and Heroku Postgres. Mulesoft's AnyPoint platform provides the tools, connectors, and runtime to enable robust integration of data in Cloud apps, such as Salesforce, with a line of business and custom applications. 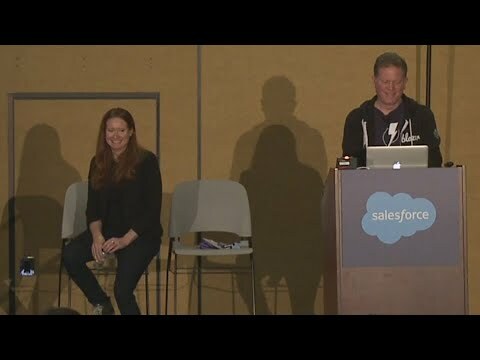 In this session, we'll discuss common usage patterns for integrating customer data in Salesforce with Heroku apps, and explain which use cases are better suited for Heroku Connect, Mulesoft, or the two in concert. Come to learn about the capabilities of the Salesforce Platform Cache to vastly improve the performance of your code, especially if you use computationally expensive processes or queries. We'll walk through real examples and show how much of a performance improvement can be gained with minimal configuration and barely any code. Despite huge progress in machine learning over the past decade, building production-ready machine learning systems is still hard. Three years ago, when we set out to build machine learning capabilities into the Salesforce Platform, we learned that building enterprise-scale machine learning systems is even harder. To solve the problems we encountered, we built TransmogrifAI (https://github.com/salesforce/TransmogrifAI) (pronounced trans-mog-ri-phi), an end-to-end automated machine learning library for structured data, that is used in production today to help power our Einstein AI platform. 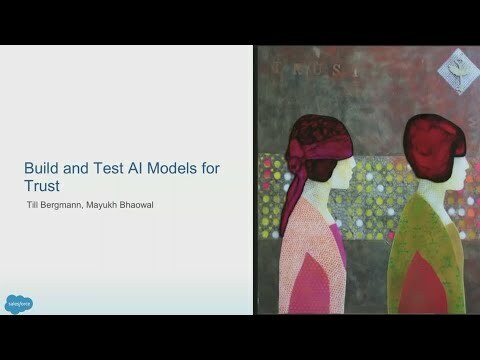 This talk highlights key capabilities of the TransmogrifAI library and demonstrates them in action on a real-life machine learning application. Salesforce DX offers new ways to develop and deliver apps on the platform. 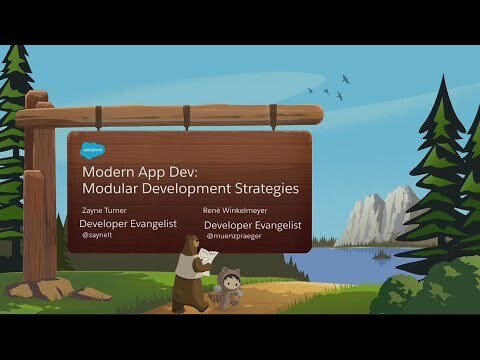 This session will walk you through paths to production in the world of Salesforce DX and modern app development. Whether you're looking to learn more about unlocked packages or add to your existing dev ops strategy, you'll come away with patterns and considerations you can put to work to modernize your delivery cycles. See the exciting additions to the VS Code tools that allow developers to work directly with their Sandboxes and DE orgs. You'll see how the Salesforce Extensions for VS Code enable you to use your current development workflows while upgrading to the latest and greatest tooling Salesforce has to offer. This session will show demostrations as well as cover best practices for managing and deploying metadata to your various orgs. Take your existing Force.com IDE skills and apply them to the shiny new Visual Studio Code tools. MuleSoft Anypoint Platform changes how developers and administrators on the Salesforce Platform should think about integrating with external systems. You'll learn what the paradigm of Anypoint Platform is about, and how to leverage out-of-the-box connectors to build your very own first integration. No matter if you no longer want to write custom Apex triggers for HTTP callouts, or if you want to integrate using External Objects or Platform Events, we got you covered. Mutants are not only found in their teenage years living in sewers, they are also extremely helpful when testing code in Salesforce. Mutation testing outputs a metric to help managers estimate test quality and developers find where more tests are needed. As the community moves towards Salesforce DX and continuous integration, automated tests are essential to the success of these practices. Join this session to learn how mutation testing can help you become a better tester. My Boss Told Me to Build a Lightning Component. Now What? Pei Huang - Groundswell Cloud Solutions Inc. In a connected world, secure, integrated systems are a necessity. Using Named Credentials with Salesforce ensures security and authentication are friction-free by simplifying the critical task of securely storing login details and authenticating with external APIs. Whether you're a beginner or a pro, join us to learn the power of Named Credentials and the benefits they provide for developers and admins alike. You'll see first-hand the advantages they offer for managing environments, deployments, and future configurability and maintenance. Need help orchestrating and integrating data to automate a process? We'll show you how you can use out-of-the-box, core Lightning Platform functionality to develop dynamic business apps. Join us to learn how you can use External Services and Platform Events with Lightning Flow to create custom solutions for your most important business processes. Implementing security protections for enterprise software can no longer be considered an afterthought. In this session, you'll learn about features such as IP Whitelisting restrictions, 2-Factor Authentication, and the Security Health Check that are crucial to the protection of your Salesforce environment. 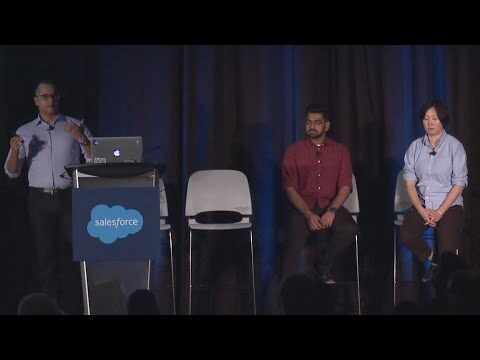 A Salesforce Security Engineer will share how these protections work, the threats they mitigate, their potential drawbacks, and how to take action when you return from Dreamforce by leveraging OrgMonitor, a new app that evaluates your basic security posture across a wide portfolio of Salesforce Orgs. Curious about Salesforce DX and the new packaging? Perhaps you've heard about these but are not sure how to use the new packaging and the core benefit. Join us to learn why and how we moved our development workflow to Salesforce DX, and why we would never go back. If you've ever tried to decipher custom code to make a minor modification and ended up overwhelmed by the complexities, you're not alone. Taking the leap from an #AwesomeAdmin to Developer can be intimidating. But don't give up. In this session, we'll give you the resources you need to create a concrete plan so that you too can overcome your fear and become a Salesforce Developer. A well-defined strategy for knowing not only your Salesforce org, but your business goals, measures, and developer needs is key to getting the most out of Salesforce DX and Unlocked Packages. Often that strategy and the internal negotiations are as important as the technology itself. In this session, you'll hear how CarMax crafted a plan and strategy to go live. You will take away a means to start your own conversations internally, position packaging, and how to show meaningful progress to your executives. In this session, we will demonstrate how you can build a physical object using Paper Signals - an open-source project that lets you build a papercraft object that can be controlled with your voice. We will use Adafruit board and a micro servo to build a custom signal that will track the sales productivity in Salesforce. What's the next thing you would like to track? In this session, you will learn how to spend less time in maintenance, how to do smaller enhancements to business logic by creating your own metadata types, and make your admin life easier to concentrate on business logic. You will also learn the difference between labels, settings and metadata types, and walk away with sample code snippets for best-suited use cases . Combining a Flow with Lightning Components lets you build a rich user experience. We discovered you could play Blackjack using button click tools and minimal code. We're going to show you how we built the game and then we're going to get you to play it. You'll get some inspiration and tips for your own use cases. Join us to learn what it takes to build intuitive voice experiences and learn about our open source Violet framework. 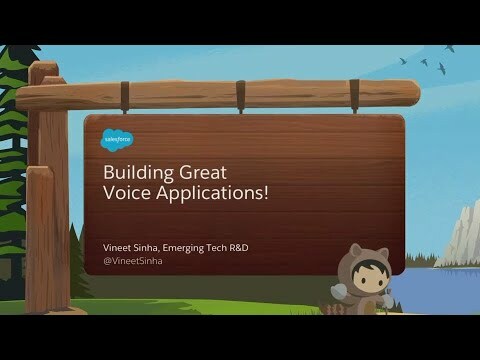 Walk away with an understanding of our tools, how to create your own voice applications, and how you can leverage the power of Salesforce while doing so. Is your company embarking on an AI journey with custom predictions? 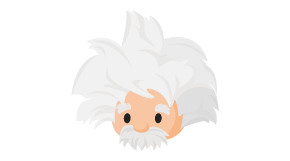 Not sure if your org is ready for Einstein? We'll help you get started. In this session, you'll learn how to start thinking about data, what kind of services you need, and how to incorporate different areas of your business into Salesforce to unleash the power of AI with Einstein. When building a new offline application using Salesforce Mobile SDK, many developers have to copy and paste codes to set up the same base functionality. To solve this problem, we created a Salesforce Command Line Interface plugin to generate a simple offline application from a template, which saved us quite a bit of time and effort. In this session, you will learn how you can build your own CLI plugin to leverage templates to speed up your application development. RAD Women (http://radwomen.org/) has been teaching women to code on the Salesforce platform since 2015. Experienced developers volunteer as coaches for advanced Salesforce admins, meeting once a week for 10 weeks. Join us to hear how the program works, how it is making an impact, and how to get involved. Did you have a closer look at your trigger handlers recently. In many cases, platform events can encapsulate and orchestrate your business logic much cleaner than triggers and are easier to integrate with from outside of your org. Custom metadata types enable you to make your triggers and platform event handlers configurable for yourself and - caveat emptor - customizable and replaceable across namespaces. And what about this new Trigger Context Enum? Learn to route your business logic like a pro and to conduct the traffic in your org and/or packages in reliable, performant and - if you want to - configurable ways. Using a real-world example from the Heroku Connect team, you'll learn how to use Heroku CI and Salesforce DX to parallelize your test suite. We'll show you how easy it is to use the Salesforce CLI in Heroku, and how to create scratch orgs for use in continuous integration testing. We'll share code samples and strategies we used to achieve a 5x speed improvement in our test suite so that you can give yours a speed boost too. Rolling out Sales Cloud Einstein for your org is a simple process. Join us to walk through setup for each of the Sales Cloud Einstein features. You'll learn the requirements for Sales Cloud Einstein, determine which features to enable right away, and tips for successful setup. You'll leave with the skills needed to enable your sales team to save time and close more deals with Sales Cloud Einstein. Salesforce and Google engineering have worked tirelessly to expand our platforms for tighter product integrations. This joint development will allow offerings such as Sales Cloud and Google Sheets to work together seamlessly. But we're not stingy - we want platform developers to benefit from our work too. Learn about the developer functionality we'll be exposing so that you can take advantage of it in your ecosystem. Our early integrations between GSuite and Salesforce Lightning Platform allow your users to easily push data from Salesforce to Google Sheets and publish back to Salesforce, ensuring everyone has access to the most recent information. In this session, we will cover how our integrations work from a high level, how to use them, and share examples of how you can leverage them in your organization to boost productivity. APIs are a critically important aspect of interacting with data. 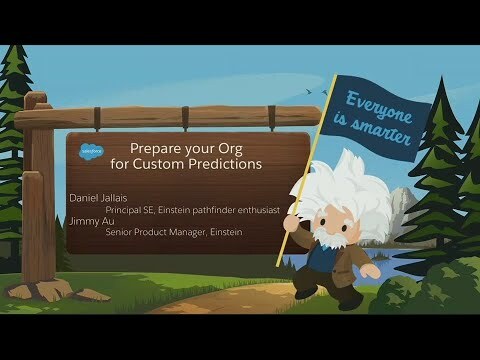 But with so many ways to programmatically customize Salesforce, where do you start? This session is your guidepost to the world of Salesforce APIs. Join us as we step back and look at the landscape of core Salesforce APIs, from REST to Bulk to Metadata, and more. We'll break down what they really are, when you should use them, and Salesforce's roadmap for building even more innovative API frameworks to transform your business. Come learn how the Salesforce Extensions for Visual Studio Code will make you a more productive and (hopefully) happier developer. You will see all the latest features such as the no-cost Replay Debugger and improved testing capabilities. This session will be fast paced and loaded with demo, tips, and tricks that you can apply to your work immediately... or at least after Dreamforce is over. Salesforce Developer Experience (Salesforce DX) is a significant improvement on app development, bringing modern tools and techniques to the platform. 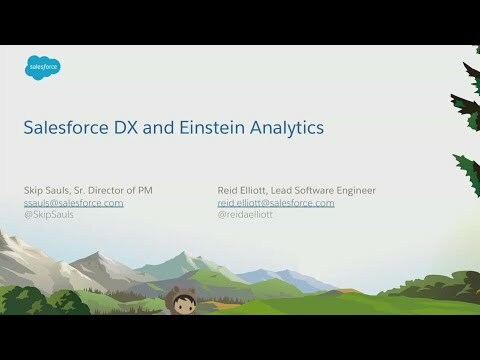 Join us to learn how the Einstein Analytics Salesforce DX plugin can be used for developing and managing analytics template assets and applications. 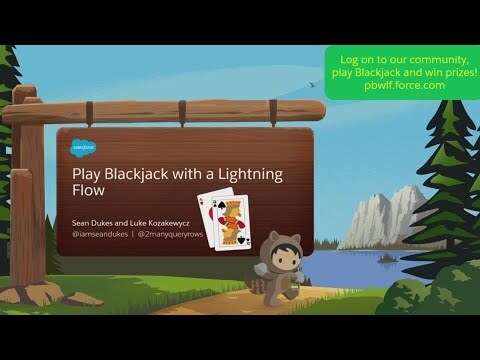 Now even more Trailblazers can embrace Lightning Flow. Experience the amazing benefits of Salesforce DX with your Flow logic with fast development, greater collaboration, change management, and package-based deployment. In this session, we'll show you how we're fulfilling the promise of continuous integration, continuous delivery (CICD), how flows work with version control systems, and how easy it is for flows to be deployed as active in an org. Building accessible apps isn't just about social inclusivity or meeting legal requirements - it has proven business benefits too. Learn how to build apps that anyone and everyone can enjoy. We'll talk about why accessibility is so important, what it is, and how to maximize it when you build your own Lightning Components and Lightning Apps. Join this fun-filled session to see how to use Marvel API and transform your Salesforce users into superheroes using comic avatars, iconic texts, and events. Learn best practices for integrating with external APIs in native, hybrid, and Salesforce Mobile Apps with the open-source MarvelForce project as a case study. Platform marketing runs its business on the platform...that's not only Lightning, but Heroku, too. This session walks through several apps we use on Heroku and focuses on Heroku pipelines for minimizing "operations" time, collaborating with non-developers, and aspiring developers using Github and Heroku review apps. Major Releases, Minor Releases. Developers, Testers. Refreshes and Previews. How do you manage all of these various demands in your Salesforce environments' scratch orgs and sandboxes? Join Salesforce product experts for updated details on tackling these problems and how to pick the right environment for your project. 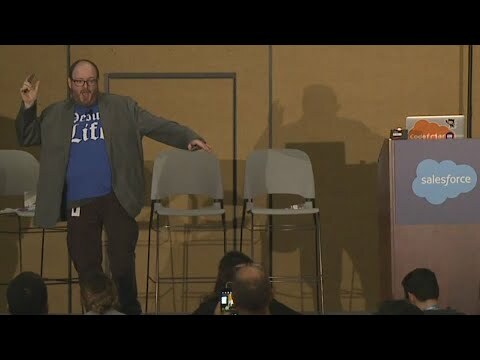 We'll also discuss features for optimizing your use of Salesforce Environments. As your applications and company grow, it can be hard for security to grow with it. Join members of the Salesforce security team as we talk about how Salesforce handles these unique challenges, and teach you about developing a secure development lifecycle that fits and protects your company. 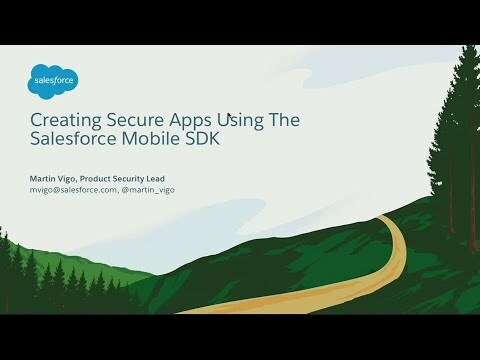 Join our mobile security experts as they walk through the Salesforce Mobile SDK and learn everything you need to know about hardening the security of your mobile apps. You will learn about common vulnerabilities and mistakes, followed by how the Salesforce Mobile SDK makes following our security best practices easy and painless. There are multiple ways to protect sensitive data within the Salesforce Lightning Platform, depending on the type of secret being stored, who should have access, and how the secret should be updated. This session will provide real-world examples of all the ways secrets can be stored, and demonstrate what can go wrong if not implemented correctly. The Heroku platform is flexible, scalable, and secure. 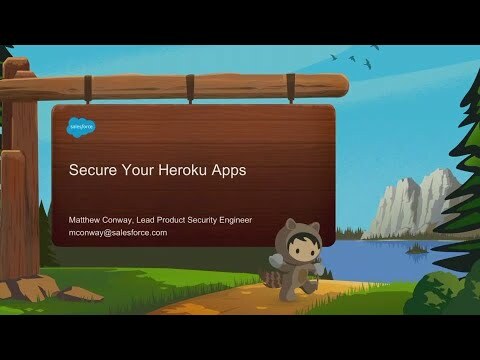 In this session, learn about the latest Heroku security features and how to use these features to secure your Heroku apps. Salesforce Community Cloud has a robust set of security controls built right into the platform, and it's important to understand how best to apply these controls. 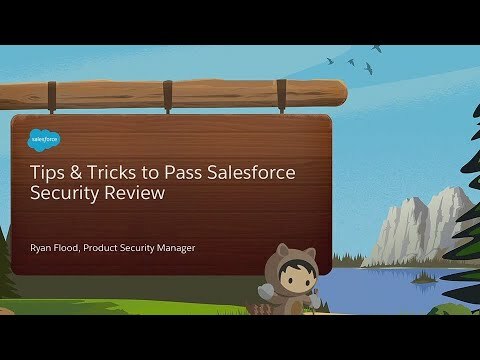 In this session, you'll learn firsthand from Salesforce Security how to publish secure communities using Salesforce's Community Cloud with built-in features and security configurations, as well as hear security best practices that should be followed by community administrators and moderators. Applications have come to rely on having a majority of open source and third party libraries to depend upon. Come and learn how Salesforce uses a combination of automation and security review to vet and approve open source and third-party libraries that become part of our dev, build, and production environments and how you can add these best practices within your enterprise. Journey through historical examples of how supporting other women can elevate women's ideas and voices to contribute to a world in which there are more seats at the table for women. Explore how women can be dependable allies for each other. Learn how to be an Ally to all women so we all have an opportunity to have our voices heard. Let's use the richness of our difference and the power of our commonalities to create better experiences for all women. The connected customer experience requires that all systems, data and devices are integrated. Every business today needs connectivity that spans Cloud apps, on-premise systems and data, and applications hosted in public Clouds. In this session, we review how the MuleSoft Anypoint Platform makes it possible for business and IT to collaborate and engage customers wherever and whenever. Learn how Anypoint Platform makes it easy to rapidly build integration with a low-code, no-code approach that doesn't require advanced programming skills. Additionally, we will showcase how developers can further extend these integrations with re-usable APIs that will lead to enterprise-wide transformation. Savio Jose - Groundswell Cloud Solutions Inc. Integrate with Marketing Cloud API directly in Apex. Accomplish your marketing automation goals without being bogged down by the intricacies of the Marketing Cloud API. Learn how we built an easy-to-consume managed package that handles authentication and encapsulates the disparity across REST & SOAP APIs. Sirono has released many of its core Apex frameworks and utility classes as the open source class library sirono-common. This class library includes a lightweight trigger handler framework, numerous facilities for collection management including a multi-map implementation, flexible comparator-based sorting, utilities for performing runtime authorization, and more. Join us to learn how and why the features of this class library can be incorporated into your own projects to support the application of general and Salesforce-specific software development best practices. Docker. Microservices. Multiple regions. VPCs and VPN. Compliance. Production system keystroke logging. Eventually your application outgrows its monolithic codebase, and you need to host it in multiple regions, with private access to data stored on Salesforce, AWS, or GCP. In order to be compliant with the latest industry standards, you need to implement keystroke logging on your production systems. Join us as we demo how you can implement these technologies on Heroku. We all know that an organization is only as good as its data. That is why you spend countless hours manually loading data into Salesforce from the oldest, dustiest, darkest applications in your enterprise. MuleSoft Anypoint Platform provides a way to break the chains of this torturous task. In this talk, you will learn the best ways to easily automate the retrieval, transformation, and import of your data into Salesforce. This will free your time to work on more productive, profitable, and fulfilling activities. Eager to see how young Trailblazers are building Salesforce solutions for our non-profit customers to solve a real-world problem? Join us to watch the student finalists across the country present their innovative team solutions around brand awareness, lead management, and event management to support Big Brothers and Big Sisters Association. If you're currently hiring and looking for top talent, this is a great way to meet early career seekers who are eager to work on real business challenges and find their next internship or job with your organization. Calling all developers for a deep dive into how everyone, whether you click or code, can build on the Lightning Platform. Join us for an "all demos" session to learn how new and improved tools, metadata coverage and usability, and change management will increase productivity and make your lives as Salesforce developers even better. This session will be packed with live demos, real-world insights, and an in-depth look at our roadmap. Are you getting started with Lightning Component development? Join us to learn how to easily use base components to create apps that look great and work seamlessly within Lightning Experience. We'll explore several examples that solve real-life use cases with a minimal amount of code. You will walk away ready to experiment and build on your own. While the other seven files in a Lightning component bundle are all amazing to be sure, the single most important file is the Design file. Leveraging the Design file, developers can expose literally anything within their component for any App Builder user to modify, from the simple, like a title or color change, to parameters that can completely change the behavior of the component. 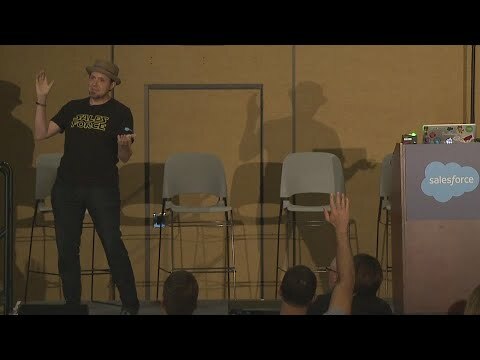 This session will open your eyes to a whole different paradigm in building Lightning components, a paradigm in which your Admins and fellow Developers love you. Lightning Stylesheets makes it a snap to give Visualforce pages the look of Lightning Experience. 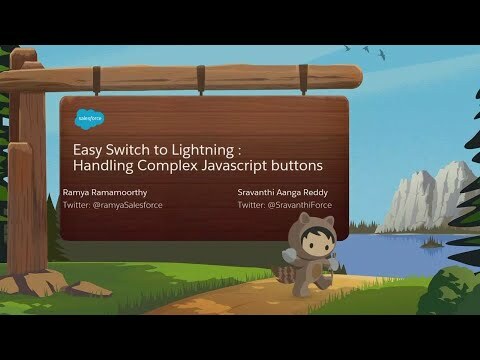 In this session, you'll learn how to implement this technique and unify your Visualforce pages within Lightning Experience. We'll also briefly show you how to develop on top of this new technique using the Salesforce Lightning Design System. Migrate your batch processing, scheduled ETL, and nightly workloads to event-driven, real-time integrations using Change Data Capture. Data change events are published to an event stream allowing businesses to have up-to-date information across systems and applications. Learn how to configure Change Data Capture and subscribe to the stream of change events to unlock new innovations in your architectures and business processes. Push upgrades make it much easier to deliver the latest features to customers. But managing the upgrade for many of them with more than one product can be very challenging. This session will demonstrate how to create a Heroku app that gives us a responsive, filterable view of customers and their product versions, and selectively schedule our upgrades. You can take your Service Cloud Snap-in Live chat experience to the next level. Learn how to create a pixel perfect chat experience and dynamically route chats to agents based on data in the pre-chat form. Join this session and learn how to fully customize your chat experience using Lightning Components. Process Builder and Cloud Flow Designer have enabled admins to provide amazing customizations to their Salesforce organizations. However, with great power comes great responsibility. Learn why and how to test your processes and flows. Topics will include debugging and testing basics, templates for testing flows and processes, and upcoming new features. The new User Interface (UI) API makes it easier to get UI metadata into your apps. You can now use a single API for record level data and UI based metadata! 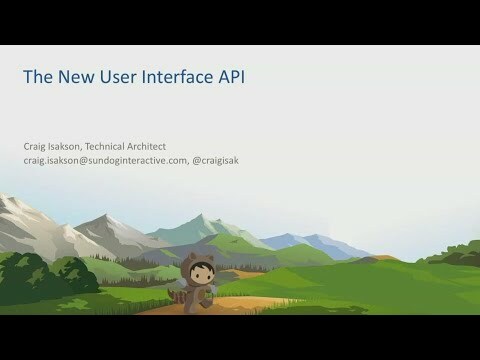 You'll walk away from this session with a solid understanding of the User Interface API and how to use it in your next project. Learn about Salesforce's Equality mission and how we strive to make our products accessible to all users. You'll discover how the team works, our plans for the future, and learn how developers can make their applications more accessible with the Salesforce Lightning Design System. We welcome your ideas and want to get you involved in shaping the future of product accessibility at Salesforce. Greg Poirier - CloudKettle Inc. Organizations have long seen the benefits of expanding the value they get out of Salesforce by integrating their marketing automation, data enrichment, collaboration, and productivity tools with their instance. But, how do you ensure integrations are stable, auditable, and secure? By utilizing an "Integration User" license and profile. 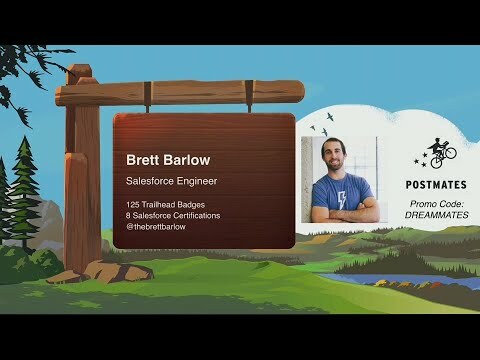 Join us to learn the hazards of using an active Salesforce user's license for integrations, how having an Integration User improves the security of your Salesforce instance, the steps to take when creating an Integration User Profile, assigning a license(s) to that profile and migrating your integrations safely, and why having an Integration User provides massive time and cost savings. 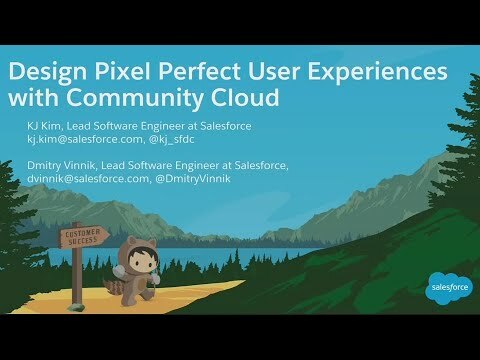 Learn about Salesforce Lightning Communities' rich set of options for continuous design, mobile first and responsive design. 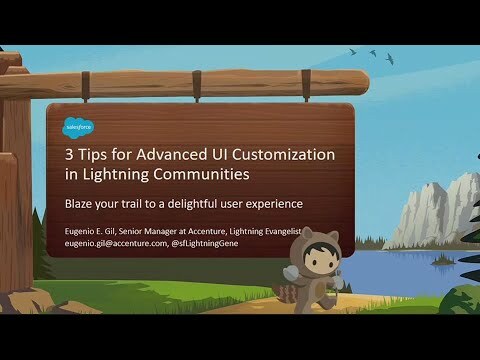 Join us for a fast track course on UI Customization, and let us help you unleash the power of Lightning Communities. Discover features such as Page Variations, Dynamic Lightning Component visualization, Branding Sets, Tokens, Custom Themes + Design Attributes, Theming, and skinning concepts. Learn from two Salesforce consultants who have successfully navigated their organizations to avoid (or solve!) problems they've seen over and over again. They'll share tips for increasing adoption, lessons on overcoming common technology challenges, and advice to help you look ahead in your company's roadmap to avoid future issues. With over 20 years of combined CRM experience, these two can help you achieve your biggest ambitions on Salesforce. In this session, you'll learn how to begin thinking about decomposing your org's metadata into discrete packages, the benefits of adopting permission sets, and how design patterns like dependency injection enable you to decouple your packages. We'll do a live demo using the new Dependency API to quickly and easily identify metadata and their dependencies as a starting point for creating a package. You'll walk away understanding which packaging strategy best suits your needs, and the features and tools most effective in adopting unlocked packages. Come see a sneak preview of how Trailhead is using Salesforce Identity to transform its login & signup experience. Identity experts will share the new Identity features coming to Trailhead, and how you can provide the same great experience to your customers. Many of us have learned how to query using SQL, but did you know that you can easily translate SQL to SOQL (Salesforce Object Query Language)? Join us to review 5 simple steps to easily write SQL queries in SOQL to get better insights to your Salesforce org data. 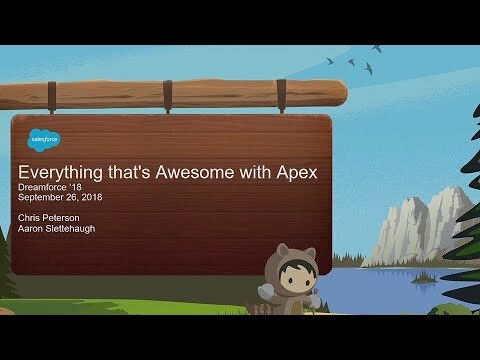 Learn about some of Salesforce Connect's newest features including Apex triggers on External Objects. 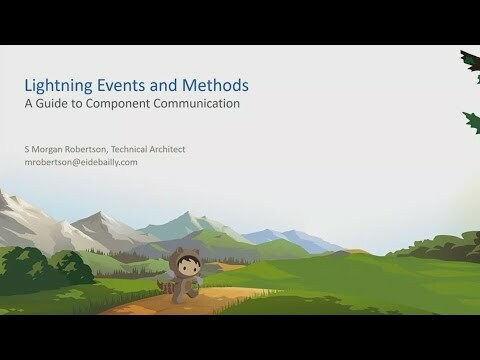 This new capability will allow you to define which changes should be tracked, how to set up listening for such events, and how to use Salesforce change events created in the process to trigger processes and actions in Salesforce. We show a step-by-step demonstration of how to react to changes on SAP. We will also cover how you can use batch Apex to build complex, long-running queries on millions of external data records, and how you can customize your data source connection with custom HTTP headers. When moving to Salesforce DX unlocked packages, you need a fast and easy way to identify the modules that make up a Salesforce org and how they are related to each other. This also applies when needing insight into how a specific field is used by other components. 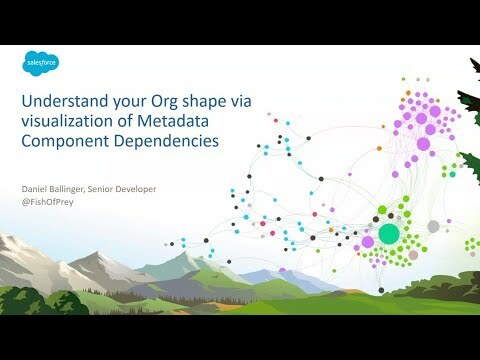 Join us to learn how by using MetadataComponentDependency queries along with Gephi, an open-source visualization and exploration tool for graphs, we can rapidly untangle the dependencies via a range of layouts and metrics. These interactive visualizations aid developers in understanding the shape of a Salesforce org, leading to benefits as migrating Visualforce pages to Lightning Components, and identifying potential packages from complex metadata relationships. Join us to learn how new tools and improved metadata coverage, and usability will increase productivity and make your life as a Salesforce developer even better. This session will be packed with demos, real-world insights, and an in-depth look at our roadmap. Whether you are considering Salesforce DX packaging (to better modularize your org) or if you are wanting to build a more flexible and configurable app on Salesforce, you need to learn about dependency injection. Dependency injection is a design pattern to decompose and decouple large applications into smaller dependencies whose implementations can be determined and interchanged at runtime. 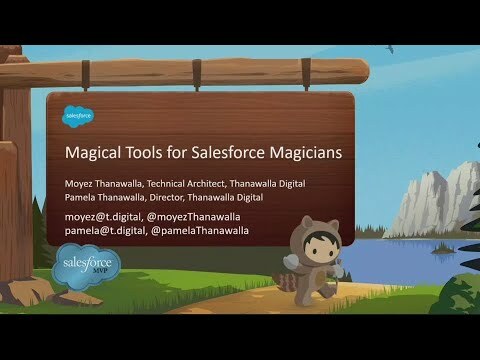 This session features an open source library with tested examples for injecting Apex, Visualforce, Lightning Components, Flows, and Triggers using custom metadata and programmatic configuration. One of the most common new customer barriers to entry for otherwise great digital experiences is a complicated registration process. 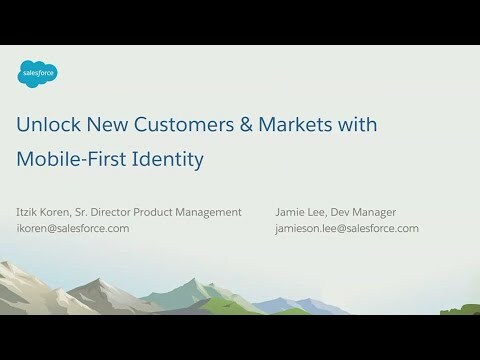 With Salesforce Mobile-First Identity, we simplify sign-in and sign-up by providing an experience that is friendly to any external user, eliminating barriers to adoption, like passwords, without losing security. In this session, you will learn how to deploy Passwordless login to make registration and access even simpler, capture mobile-first markets, and delight new user demographics by providing the ability to create an identity with your brand without forcing consumers to juggle yet another password. Join us to see how you can leverage Salesforce IoT and Mulesoft to unlock your device data in disparate systems with easy integration connectors, and how together you can create the perfect future proof IoT strategy. 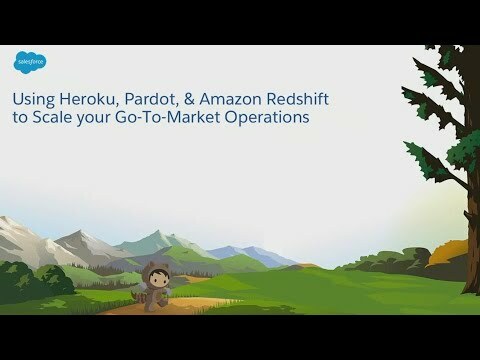 Join us as we cover how the Heroku Business Operations team utilizes Heroku Postgres, Heroku Connect, Salesforce.com, Pardot, and Amazon Redshift to automate, optimize, and scale Heroku Go-To-Market Operations. You'll leave understanding how Heroku products (Postgres and Connect) can be paired with other Salesforce products (Salesforce.com and Pardot) and Amazon Redshift to scale GTM Operations and enable the sales, marketing, and product teams to make a greater impact. 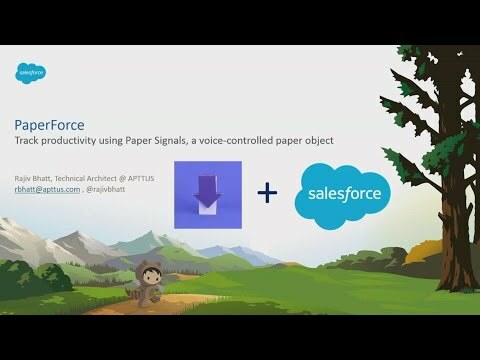 Salesforce Lightning Flows are great for authenticated users, and in Winter '19, you can use them with guest users too. 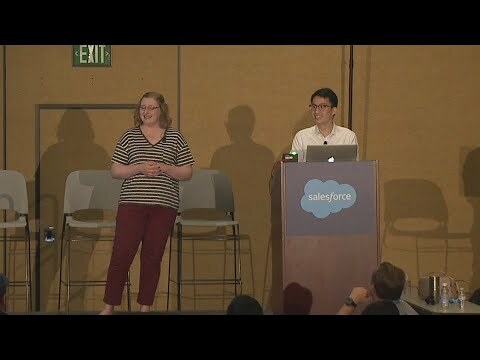 Salesforce Engineers Ashley McGuire and Jitendra Bothra have built a flow that captures user data, GDPR preferences, and product registration. They will show you how this was built, and share the custom Lightning Component and Apex Class used to accomplish this. Enterprises use several mission-critical applications. In order to gain end-to-end insight into Einstein Analytics, it's necessary to integrate these data sources. In this session, you'll learn strategies for integrating your data into Einstein Analytics, as well as tips and tricks for building reliable solutions using MuleSoft. The ability to analyze text and understand conversations with AI is now possible with Salesforce Einstein. Einstein Language APIs can be used to build natural language processing into your apps and unlock powerful insights from unstructured text. In this session, you'll learn and see how Salesforce Einstein analyzes, understands, learns, and adapts to customer conversations with its APIs and how those APIs can result in increased customer satisfaction and sales productivity. 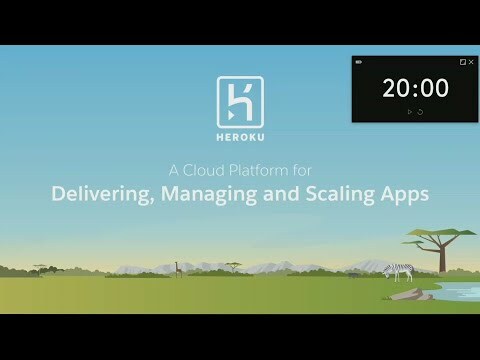 With Heroku's platform, you can deploy, configure, scale, and manage apps as simple and straightforward as possible. As part of that, Heroku applications are built to be easily integrated with third-party Cloud services through the Heroku add-ons marketplace. In this session, you'll learn how to compose a Heroku application utilizing a broad array of third-party tools. We'll cover the integrations that are key for most production applications, such as logging, monitoring, and error tracking. We'll also cover new technologies and tools that are emerging in the marketplace. In some cases, checking granular read and write permissions is necessary on the Salesforce Platform. But when this gets to be overkill and CRUD/FLS grants via permission sets become unmanageable, custom permissions might be a good option to grant permissions in Apex that runs in system mode. You will learn a framework for specifying blocks of code which are granted execution access based on custom permissions, which co-exist with existing CRUD/FLS checks. Are you starting out with Lightning Components? Join us as we tell you about the most interesting lessons learned, useful tips and tricks that will help you in your learning path, handy tools, and the most common errors. 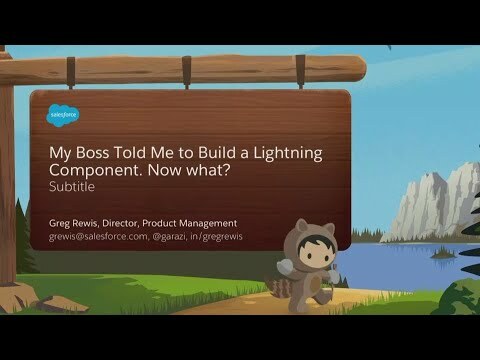 Become a developer who understands the best practices required for Lightning Components, and apply it to component builds in your own organization. The lack of diversity in our Industry is a problem we can't shy away from, even as developers. If you are passionate about this, then join us to learn about an online program started in a community and how you can start one yourself. You will go away learning how easy it is, the experience of running the program and the unexpected benefits of starting such a program. With the Lightning Platform, we focus on making apps a deeper part of the user experience. Improving the user experience has been proven to increase adoption, value and engagement, and with the Lightning UX, it's easy to do. We will explore the key features that can help create powerful custom Lightning apps for users. Join us to learn how to make your Lightning apps smarter, and give your users the information and data they need when and where they want it. Calling ambitious Salesforce developers: Become the first IoT Trailblazer in your organization and a hero to your business! Learn how to build an end-to-end IoT flow for your connected devices. 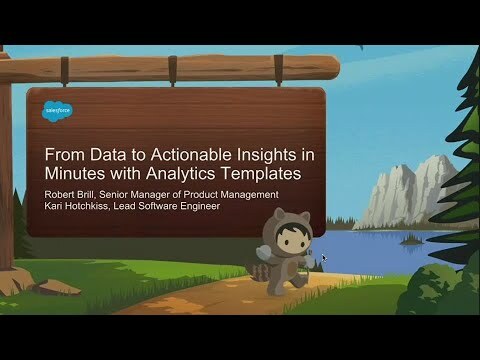 This session will cover connected architecture patterns and demonstrate how to push data into Salesforce IoT, execute intelligent logic against event data, and take action on your insights. Zip files are broadly used to store, group, and transfer files across computer platforms. Unfortunately, there's no native zip support in Apex...until now. 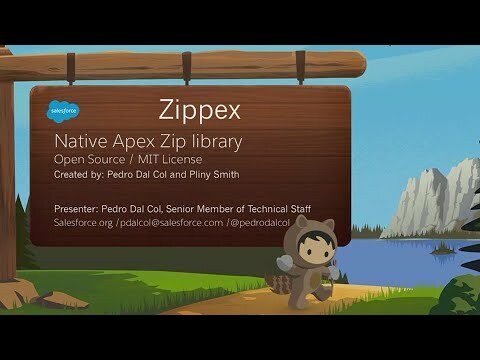 In this presentation, we will show you how we created an open source zip library, in native Apex, that brings support to zip and unzip files on the Lightning Platform, and discuss important considerations, such as governor limits and the lack of binary data operations, when creating a zip library in Apex. We will also demonstrate how to use this library to create and modify the contents of zip archives, and how you can leverage zip support to read and update Microsoft Word files.